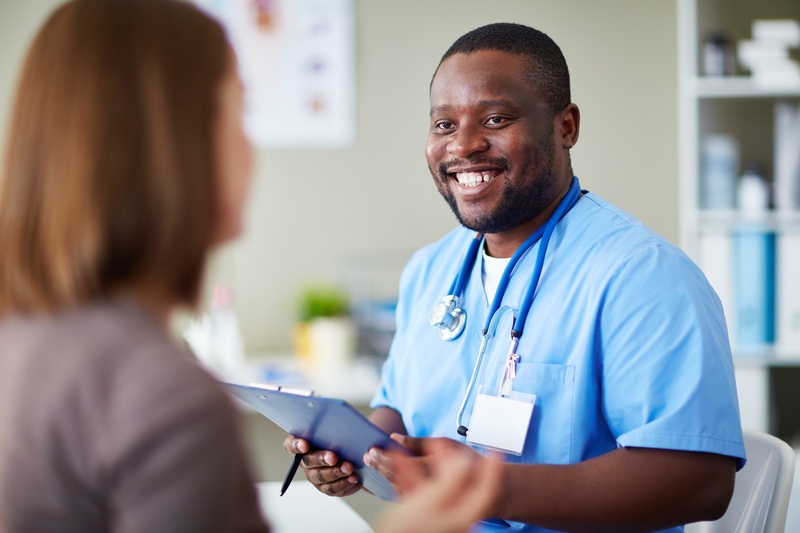 When a nurse actively pursues ways to expand his or her clinical knowledge and direct care skills, the benefits are twofold: 1) it can help stave off feelings of professional stagnation, and 2) it increases his or her value to the employer. Seeking out opportunities for improvement can support better job security, boost your advancement potential and offer a general sense of accomplishment. 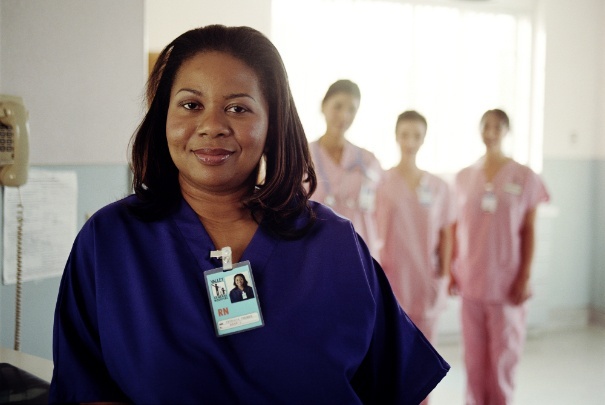 Here are four ways you can stand out from the crowd and improve your nursing job security. Are you considering going back to nursing school? You’re not alone. 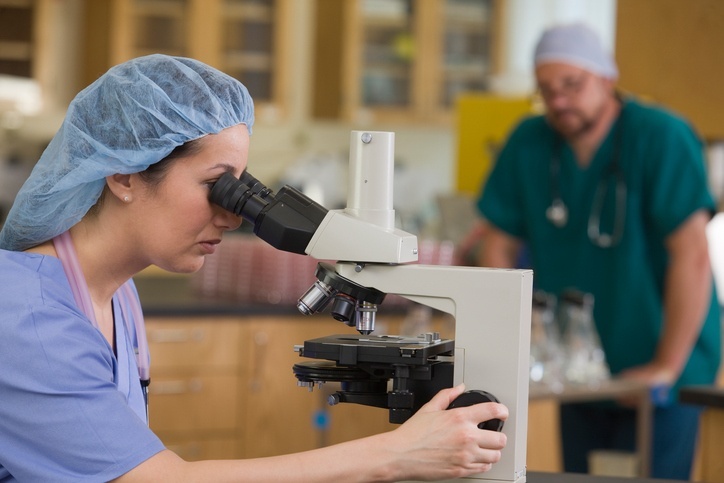 Twenty-nine percent of RNs plan to pursue a Bachelor of Science in Nursing (BSN) in the next five years, according to a study published in the Journal for Nurses in Professional Development. 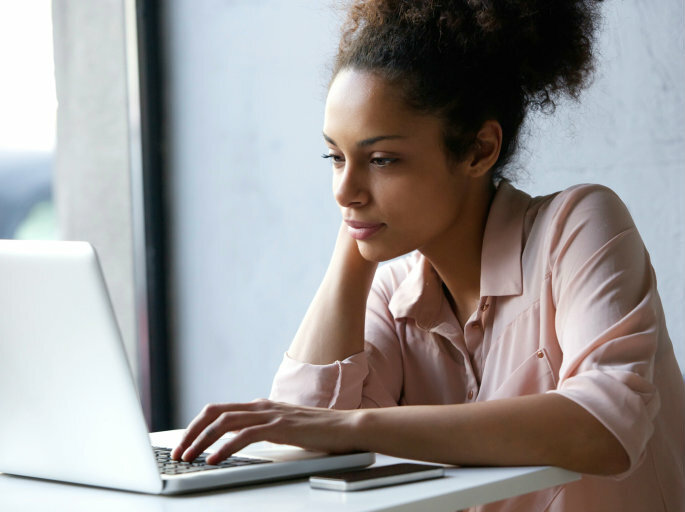 Whether you’re interested in obtaining a BSN or an advanced degree, ask yourself these four questions before you sign up for classes. 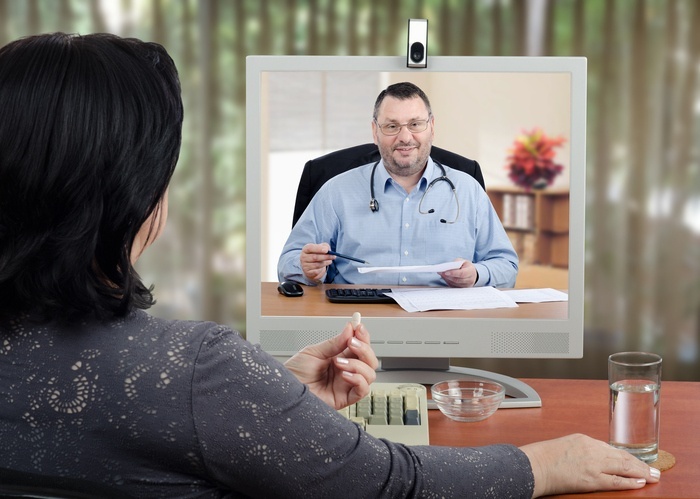 Though originally developed to deliver care to patients who had difficulty traveling to their primary care physician’s office, telemedicine services have evolved into an effective tool for providing convenient routine medical care for all patients. 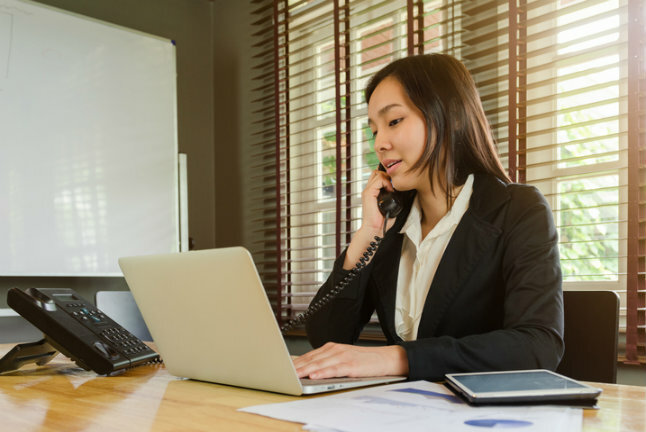 As private practice physicians look for more ways to improve their clinic, offering telemedicine services is an effective option for increasing patient satisfaction as well as the profitability of the practice. 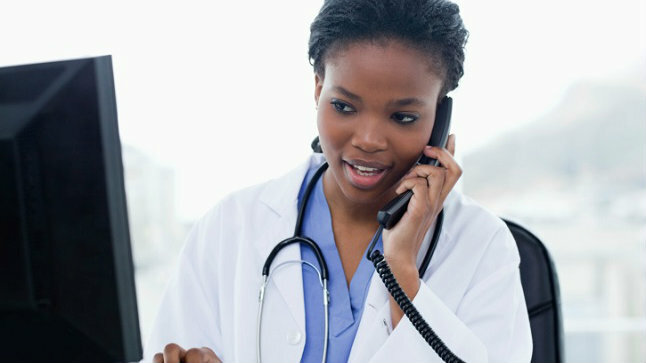 Here are three benefits of offering telemedicine services at your clinic. 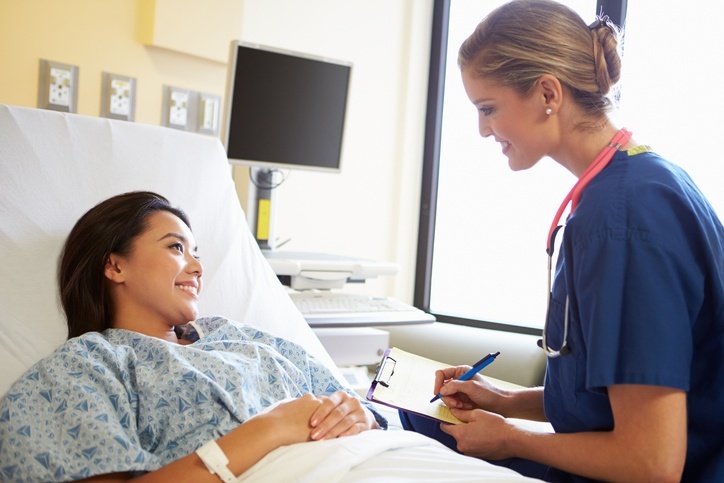 How Can Nurses Define and Guide the Patient Experience? 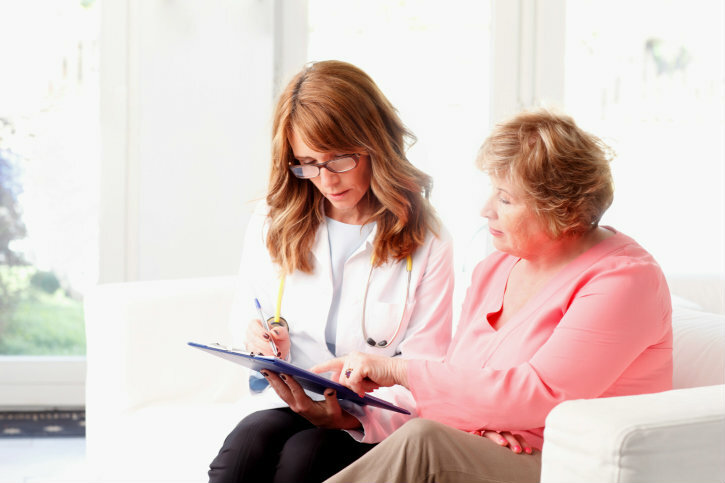 Unfortunately, the best way to define the patient experience is up for debate, and every individual involved in a patient’s care has their own perception of which factors should be considered when assessing treatment quality. However, among the most comprehensive investigations into the idea of patient experience was a 2014 article published in Patient Experience Journal, “Defining Patient Experience.” In this study, Wolf, et al. identified four distinct themes that practitioners—especially nurses—can use to help define and guide the patient experience. Below is a discussion of these four elements. 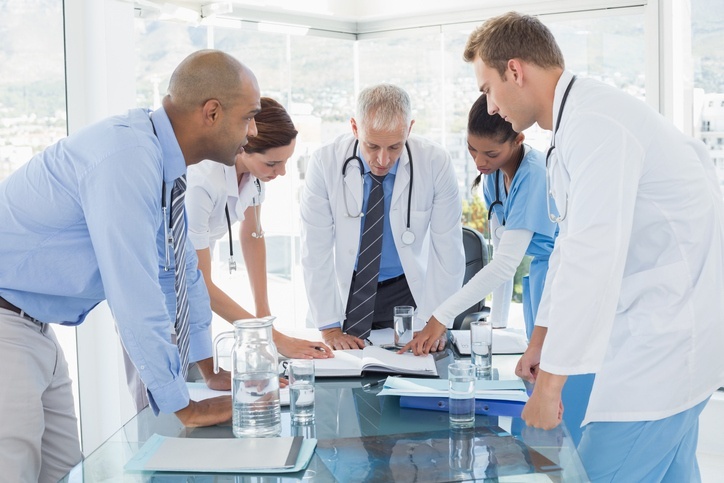 From organizing regular meetings between departments to scheduling procedures throughout the week, there are dozens of ways hospital admins can increase efficiency. Regardless of the industry, it can be tempting to maintain the same processes that have been in place for years, but just as the healthcare industry is constantly evolving so too must a hospital administrator’s approach to managing their facility. 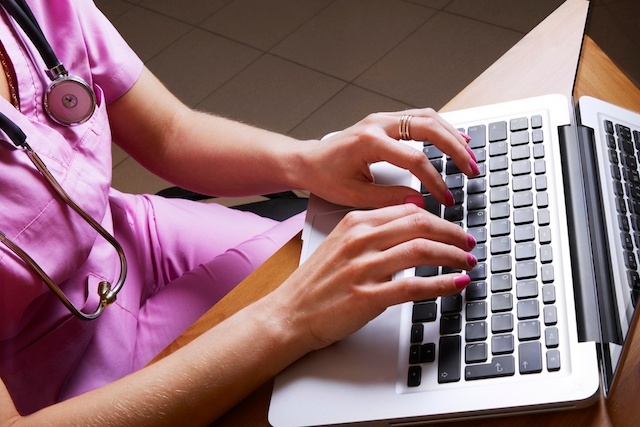 Here are three cutting-edge ways hospital admins can improve healthcare efficiency. Did you know that one of the first recorded reference to the nursing profession is on a pillar in India built around 250 B.C.? Or that around the turn of the last century nurses worked, on average, 56 hours per week? You don’t have to go back hundreds or thousands of years to hear some fascinating facts, however. Here are 10 thought-provoking statistics about modern nursing. We all look forward to the small victories during a busy day—for example, when a conversation we were dreading goes well or when we take a new approach to a task and it’s even more successful than we’d hoped. Due to the nature of their job, the small victories nurses look forward to tend to be a little more unique. Here are 10 little wins that can instantly make a nurse smile. It’s difficult enough to survive in the competitive healthcare marketplace, but if your hospital doesn’t use the most cutting-edge practices and the latest healthcare technology, it can be especially challenging. A hospital’s willingness to embrace innovation influences not only the decision of a patient seeking care but also the decision of a physician pursuing a new position. 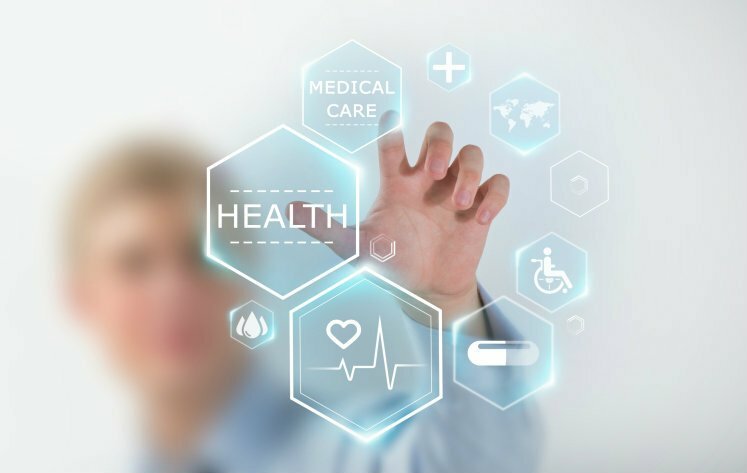 Using technologically advanced clinical processes and medical devices are an effective way to improve the patient experience, attract high-caliber staff and ensure compliance with regulations. 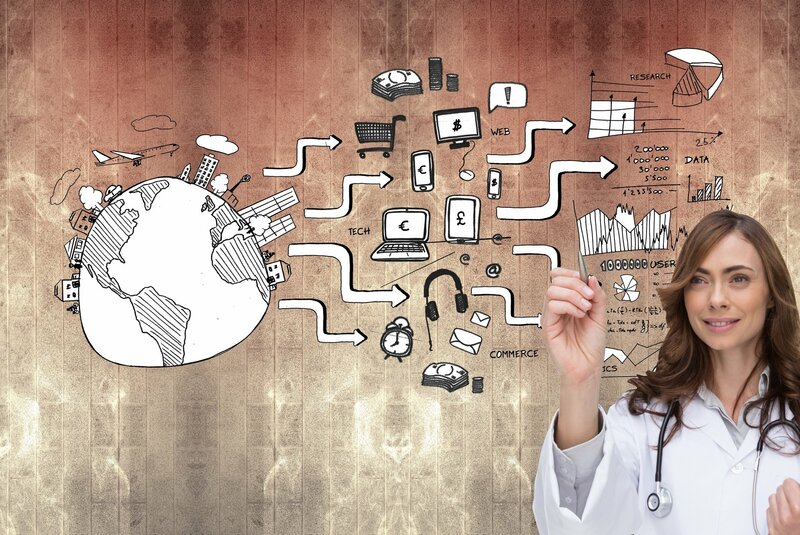 Here are three healthcare technologies that can help your hospital thrive. 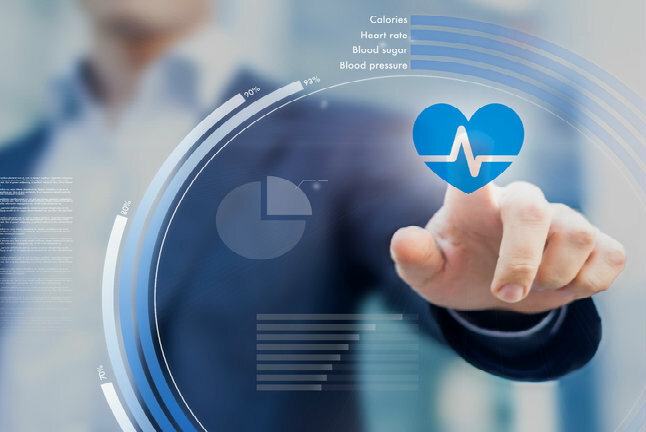 Though healthcare has recently shifted from fee-for-service (FFS) payment structures to a value-based care (VBC) model, efficiency and productivity are still primary concerns for every care provider. 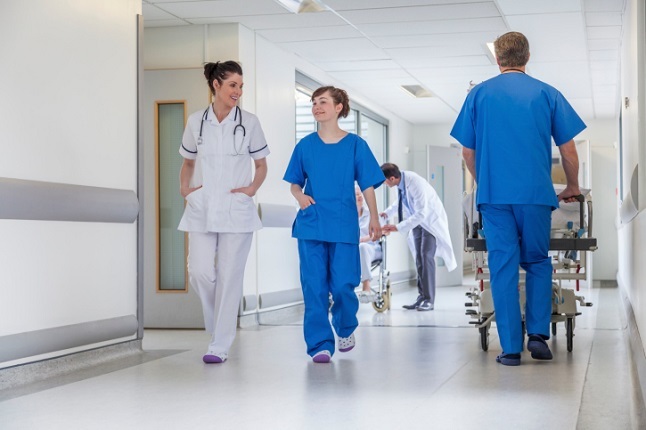 Healthcare technology, inventory management and proper interdepartmental communication are all essential for a productive and efficient healthcare facility. However, a hospital's design can have also have a big effect on patient flow, patient care and the patient experience. 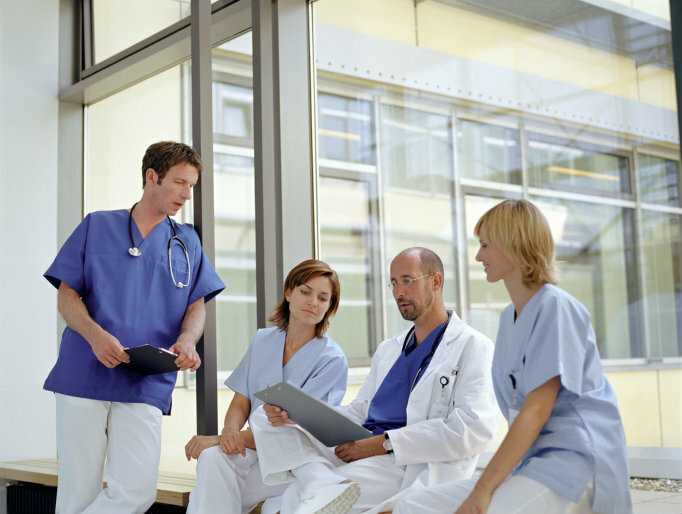 Below are three ways to improve hospital design for increased productivity and efficiency. 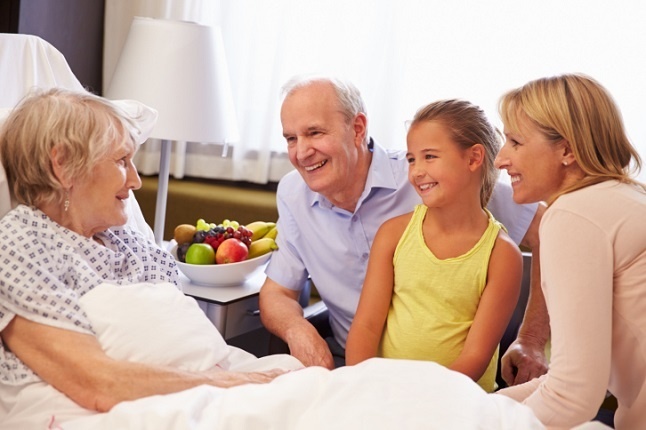 Wondering what patients want during their hospital stay? 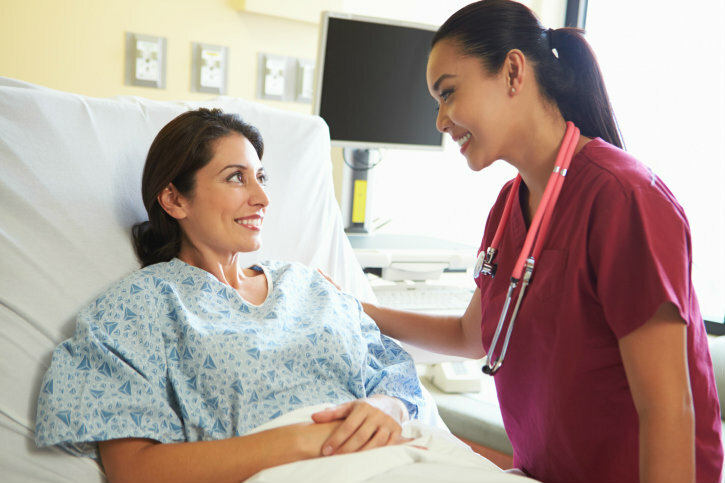 Here are three things patients want from nurses during their time in the hospital. The average full-time employee in America works 46.7 hours per week. But as healthcare workers know all too well, hospital hours are long and often include double shifts. What is the effect of these long hours on employee health? Research shows that overwork can lead to poor sleep, depression, and even serious health problems such as diabetes and heart disease. Busy nurses often think about the needs of their patients before their own. 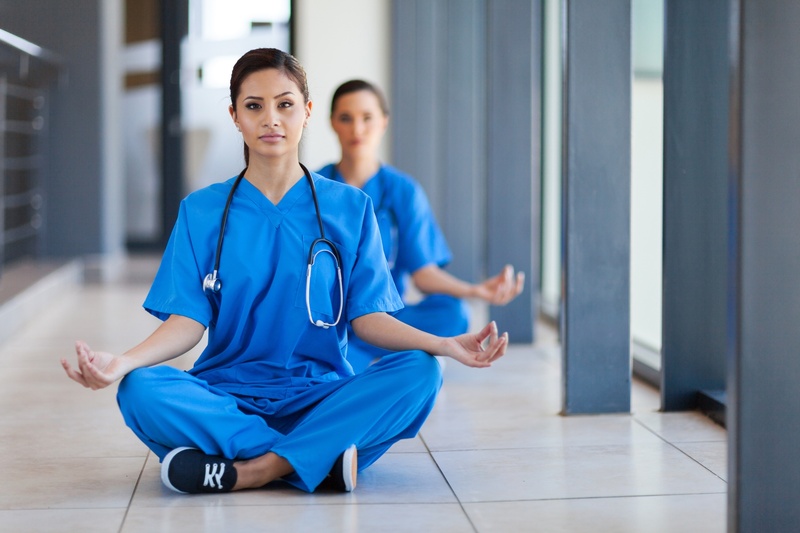 Making an effort to include wellness activities can help alleviate some of the stress nurses experience, as well reduce health risks. What are the benefits of a wellness program? We’ll cover this topic along with 10 ideas you can try right now. Arguably one of the most difficult parts of being a nurse is delivering bad news to patients and their families. Whether you’re informing a patient of an unfavorable diagnosis or telling someone their loved one has passed away, the situation is emotionally draining and one nurses dread. To help make the task a little easier, here are a few tips for breaking bad news. Sometimes, the most challenging obstacle a physician can face is establishing a strong connection with their patient. 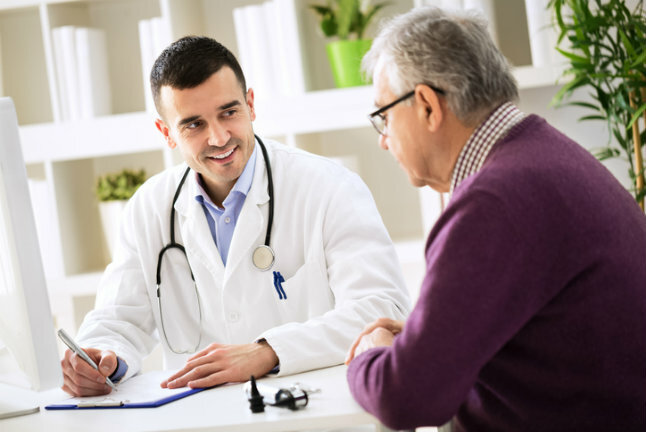 The benefits of a good physician-patient relationship are numerous—higher patient satisfaction, better diagnostic accuracy, increased compliance to treatment plans and improved outcomes, to name a few—but breaking down the barrier between clinicians and patients can be difficult. 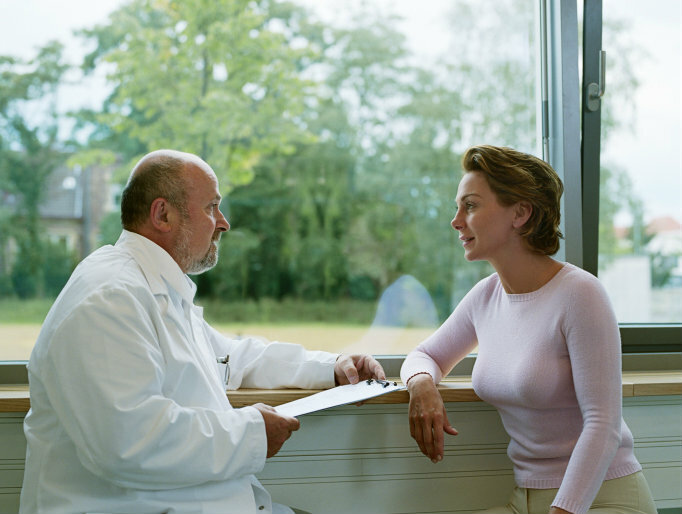 Here are five ways physicians can build better patient relationships. Above all else, a nurse’s first priority is to provide high-quality care to his or her patients. What comes after that can be different for every nurse, but likely the most common secondary goal is to be as efficient and productive as possible. Each nurse has his or her own tried-and-true methods for increasing efficiency and productivity, but sometimes it can be a good idea to think outside the box. 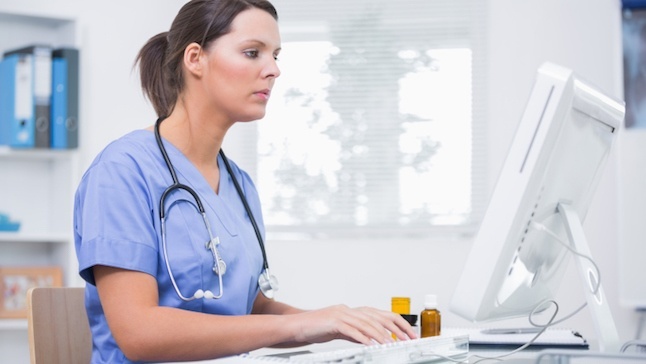 Here are four unexpected ways to improve nursing productivity. At the end of a busy week, professional development is probably the last thing on your mind. Unfortunately, if you don’t make time for this, you’ll be overlooking an excellent chance to enhance your nursing skills, advance your career and improve the quality of care you provide your patients. Every professional — especially nurses — should have a strategy for career development. 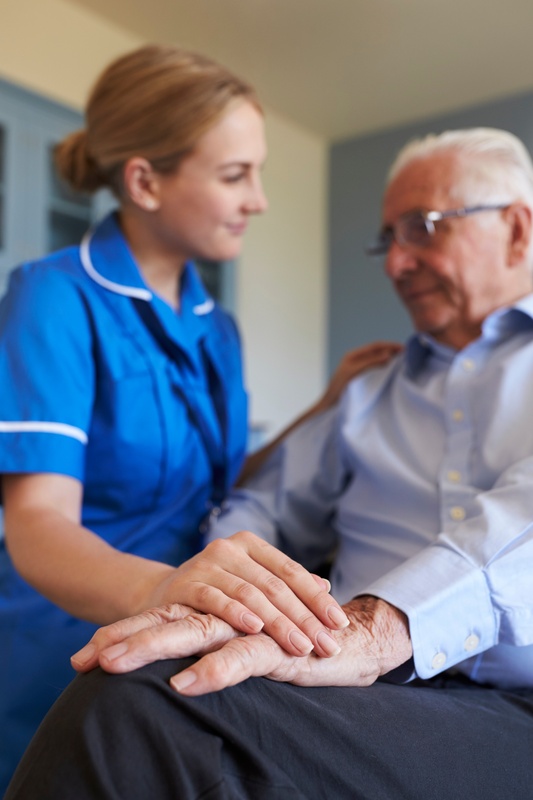 In the dynamic healthcare landscape, there are many new opportunities to grow as both a care provider and a person. 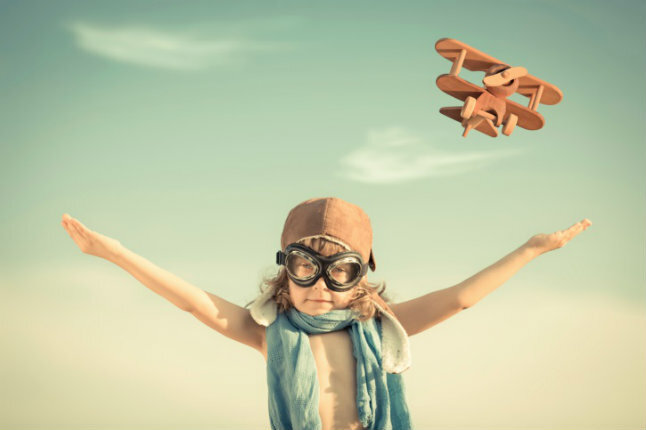 With an established strategy in place, you can make sure you’re always ready to take the leap into something new. 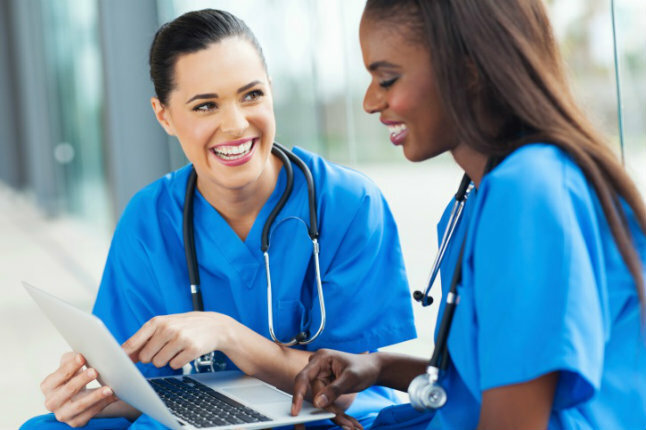 Keep these three steps in mind when you create your nursing professional development strategy. Grants, Medicare payments and private payor reimbursements may be enough to keep a hospital running, but substantial improvements to a hospital require financial assistance from outside donors. Successfully soliciting contributions can be challenging; taking the wrong approach can have major consequences. However, a healthcare organization's facilities can benefit tremendously from well-executed fundraising programs. Read on to learn nine of the best practices for hospital fundraising. There has never been a more exciting time to be a nurse. 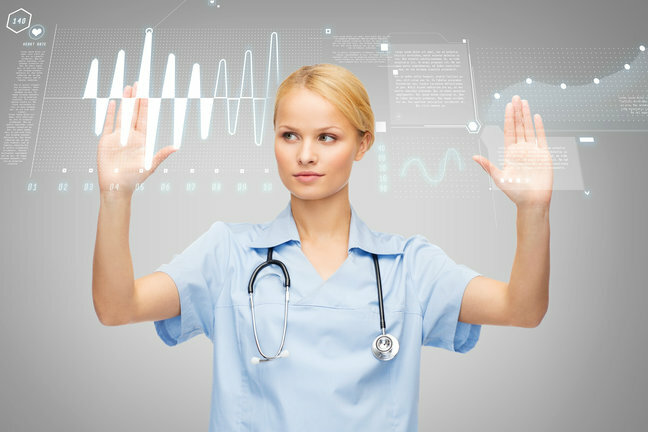 Not only is the number of clinical technologies designed to help make nursing easier and improve patient care constantly increasing, but the opportunities for growth as a nurse are increasing as well. The healthcare environment is dynamic, with medical breakthroughs emerging every day. To stay ahead of the game, nurses must stay up to date with the latest trends as well as potential future healthcare developments. As 2017 begins, take a look at these three trends to get an idea of what the future of nursing will look like over the coming months. 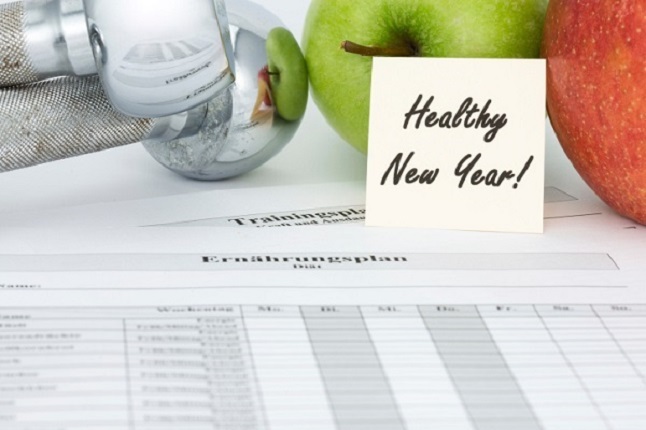 Along with “eat better” and “exercise more,” “learn more about the Hospital Inpatient Prospective Payment System (IPPS) final rule” should definitely be on your list of 2017 resolutions. Unraveling the complexities of the hospital IPPS final rule will be a hefty undertaking, but if you get started now, you’ll be ahead of the pack. Here are a few of the key ways the IPPS final rule will affect hospitals. 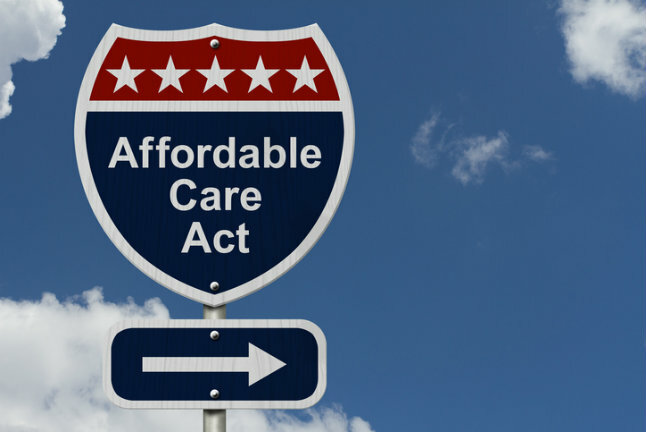 The Affordable Care Act (ACA) has had a big impact on the healthcare landscape. The legislation has led the shift from volume-based care to value-based care and makes health and wellness services available to millions of Americans who were previously unable to secure insurance coverage. Healthcare professionals are familiar with a great deal about the ACA, but certain provisions of the law are not as well-known. For instance, did you know that Medicare reimbursement for services provided by certified nurse midwives (CNM) has increased to 100 percent of the Physician Fee Schedule? This means CNMs now receive the same reimbursement as physicians for services covered by Medicare. Read on to learn even more fascinating facts about the ACA. 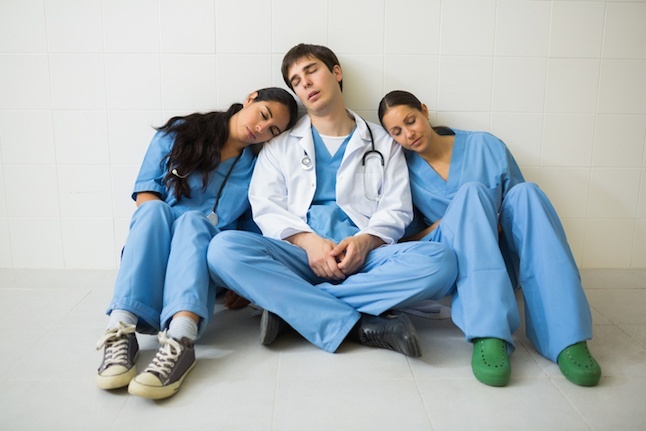 Even the thought of a double shift at the hospital can be exhausting. And if it’s an unplanned double, it’s especially taxing since you haven’t had a chance to properly prepare. While a double is definitely challenging, there are a few ways you can make them a little easier. 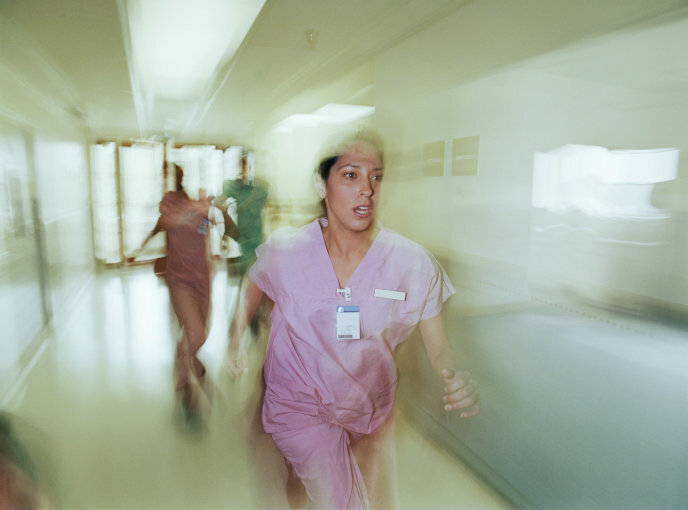 Here are five ways nurses can get through double shifts. Nurses have always played an integral role in providing quality care. New legislation from the last five to six years has provided even more opportunities for nurses to have an important part of enacting change. There’s never been a better time for nurses to take an active role in healthcare management and innovation because of the Affordable Care Act. 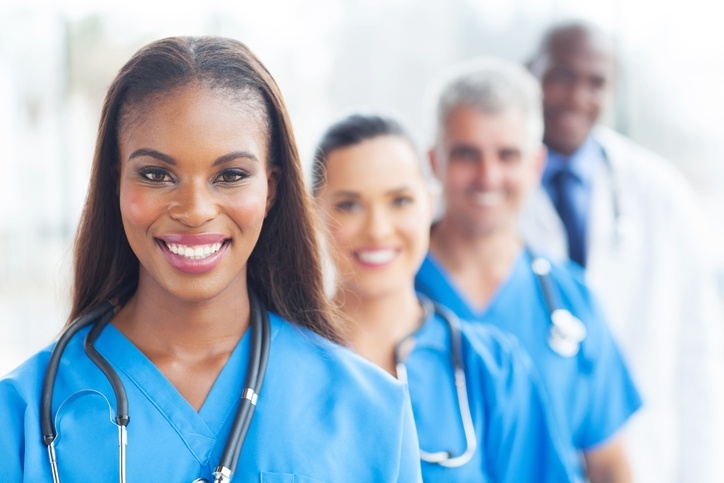 As a nurse leader, you are uniquely positioned to shape healthcare reform efforts in your hospital. 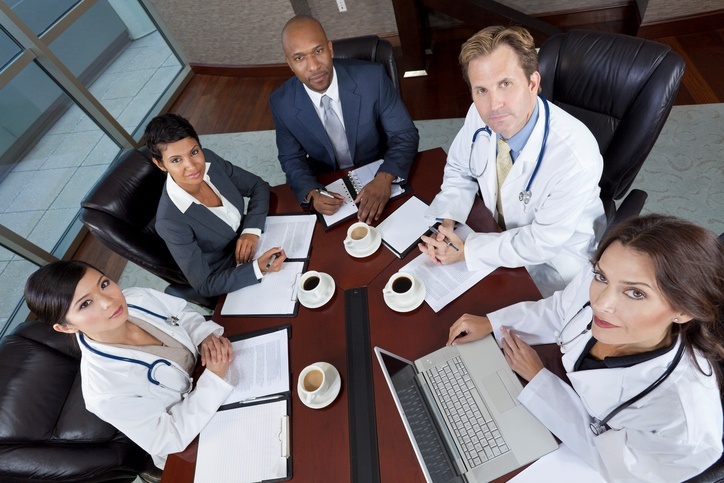 Keep these four focus areas in mind as you manage healthcare reform at your organization. In health care, even minor changes to everyday procedures—for example, updating clinic protocol to include the application of a topical anesthetic before a procedure—take time to get used to. Every member of a care team, from a staff nurse to a physician, must update the routine that they’ve possibly been following for years. When a major change is introduced, such as the recent transition from fee-for-service (FFS) payment structures to a value-based care (VBC) model for all healthcare systems, it means unprecedented changes in how healthcare organizations are run. Whether you’ve just entered private practice or your practice has been open for years, it’s understandable to feel overwhelmed by the new reimbursement process. Although the new system may be challenging, these strategies can help make the transition easier. Does your staff groan when the topic of continuing medical education (CME) classes comes up? CME classes that fail to engage participants or provide useful information can be a waste of time, even if they’re required. 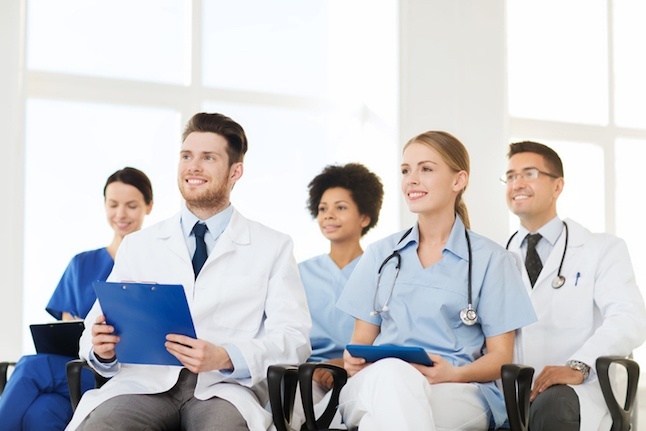 Making a few changes to your CME program can be instrumental in changing your employees’ attitudes about the continuing education requirement. Here are five tips that will help you convince staff that CME classes are worth their time. 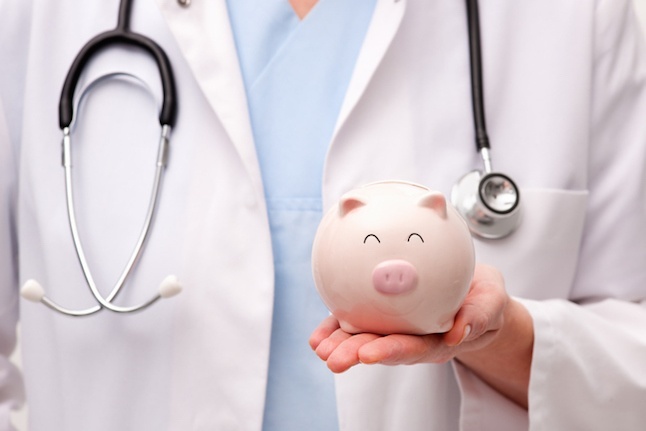 Cost containment is one of the most important issues facing private practice physicians today. 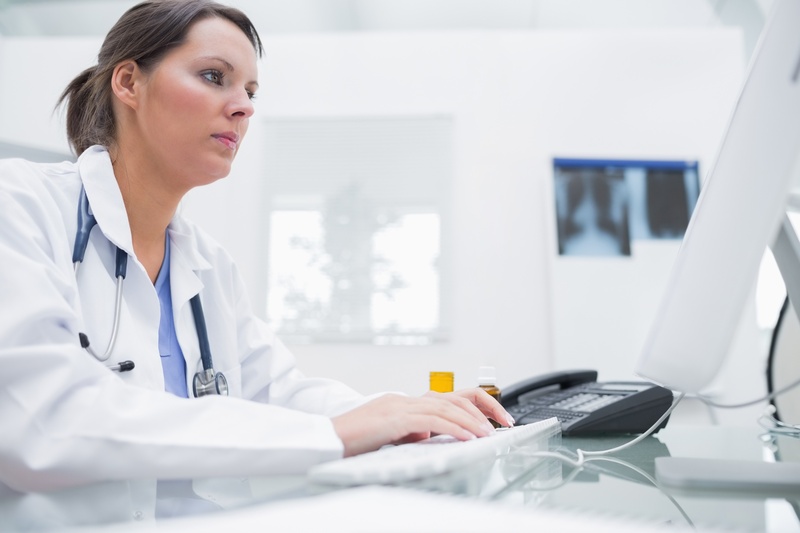 The price of supplies, increasing staffing costs and declining reimbursements all affect your bottom line, as does the constant need to update computer equipment and software. In fact, a 2016 Medical Group Management Association survey revealed that physicians spend $32,500 per year on healthcare technology alone. 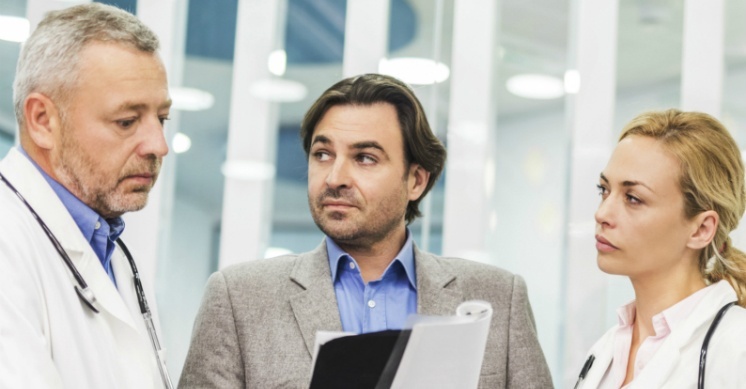 Luckily, there are a few things you can do to tackle rising costs. These tips just may help you keep your costs down this year. Hospital management teams are always on the lookout for methods to trim costs and improve efficiency. Since nurses account for a large percentage of the hospital staff, a frequently used strategy to decrease costs is to reduce the number of nurse labor hours. However, considering the Affordable Care Act (ACA) has placed greater emphasis on value-based care, the appropriate nurse-to-patient ratio is essential to guarantee patients receive the highest quality care. Traditional nurse staffing systems fail to account for certain variables, resulting in staff shortages and an inability for nurses to spend adequate time caring for their patients. Newer staffing models are more flexible and can be adjusted to fit not only the needs of the entire hospital but also the needs of individual units. 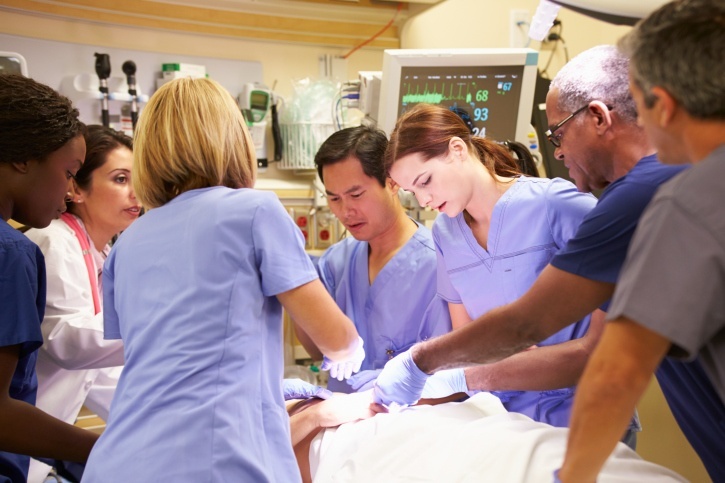 Here are four approaches hospitals can take to ensure safe nurse-to-patient ratios. Today, nurses are required to have, at minimum, an associate degree in nursing (ADN) to administer care. While every nurse has certainly received the clinical training required to provide quality care, having a Bachelor of Science in Nursing (BSN) usually leads to increased opportunities for personal and professional development. Although there’s no doubt taking classes in addition to working full time will make life a little more chaotic, nurses who are interested in continuing their education should reflect on the advantages the degree can have for their patients, their hospital and themselves. 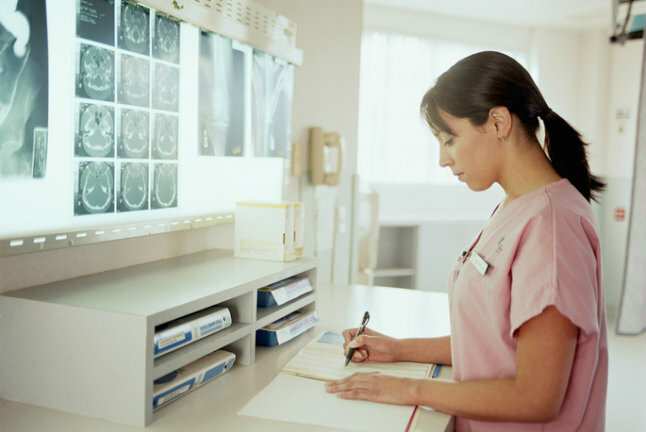 Here are three reasons why you should consider pursuing a Bachelor of Science in Nursing. 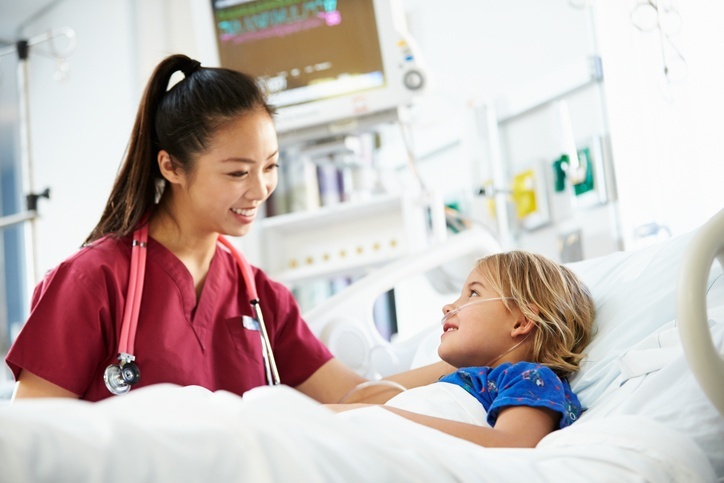 While the position of certified child life specialist is relatively new in the healthcare field, more and more hospitals are recognizing the positive impact child life specialists can have on patient satisfaction. 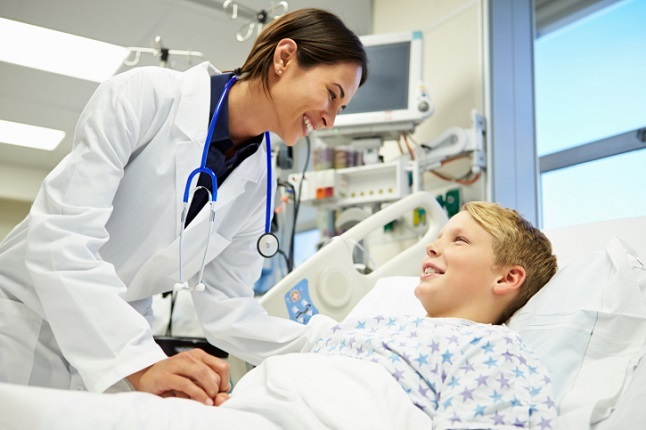 Every child life specialist performs certain duties—for example, providing emotional support to pediatric patients during their hospital stay and advocating on behalf of the patient in discussions with the healthcare team. But there are those child life specialists who go above and beyond to ensure their patients have the best possible hospital experience. Here are three things the best child life specialists do every day to help pediatric patients feel more comfortable while they’re in the hospital. Hospital stays aren’t something many people look forward to—you don’t get to sleep in your own bed, you have strangers coming into your room at all hours of the night and you have to spend all of your time in a hospital gown. The one benefit of a hospital stay is that once it’s over, you usually feel a lot better than when you went in. 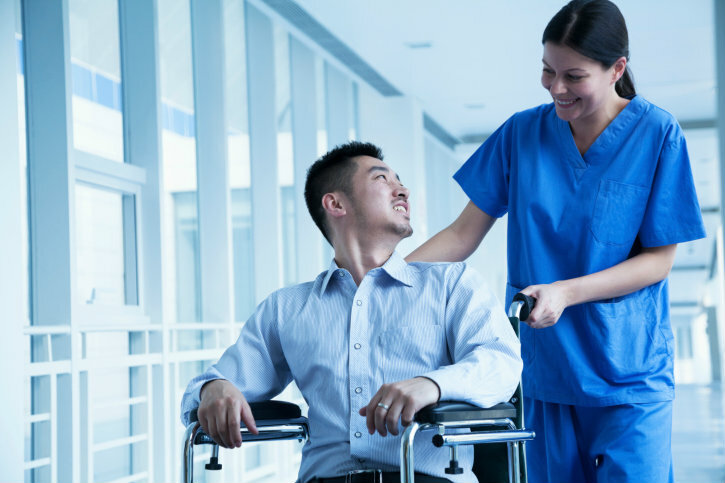 Many times an extended visit in the hospital is unexpected, but for patients who have the opportunity to prepare, here are five ways to make your hospital stay better. Regardless of your industry or position, it can be easy to miss the forest for the trees. 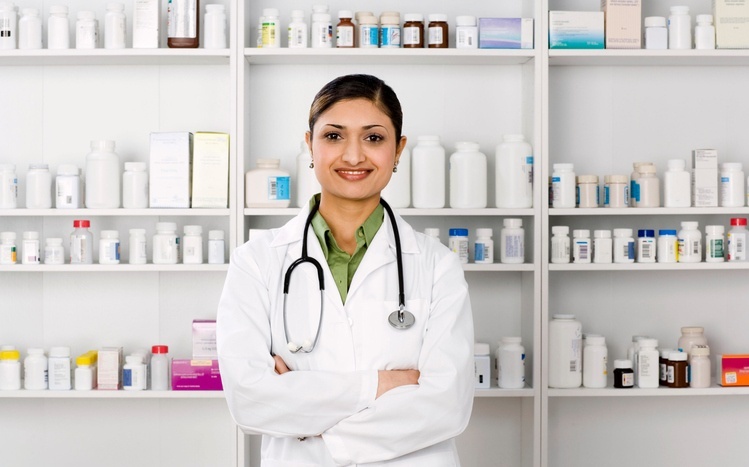 In medicine, that usually means viewing the procedure or the medication or the therapy as the totality of medical care. But patients perceive their experience holistically—from the first appointment to the final post-op evaluation. Orthopedic surgeons who focus on the patient rather than their condition can provide more comprehensive, patient-centered care. 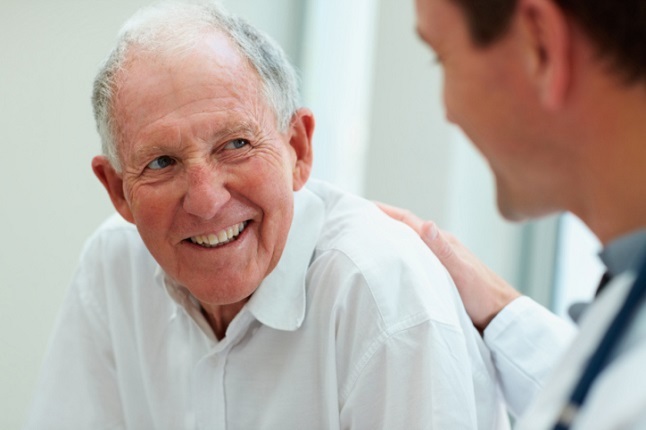 They are adept at building personal, empathetic relationships with their patients, resulting in better communication and, in turn, increased patient satisfaction. Read on to discover how to implement patient-centered care in orthopedics. After four years in undergrad, orthopedic surgeons dedicate almost another decade of their lives to medical school and residency. When they’ve completed their residency, they’ve amassed a wealth of clinical knowledge to help them provide the highest quality care to their patients. However, in some instances there may not have been enough emphasis placed on an important aspect of care: patient communication. Orthopedic surgeons are certainly skilled in the technical aspects of care, but some struggle seeing the patient experience as a whole, instead concentrating on the treatment. 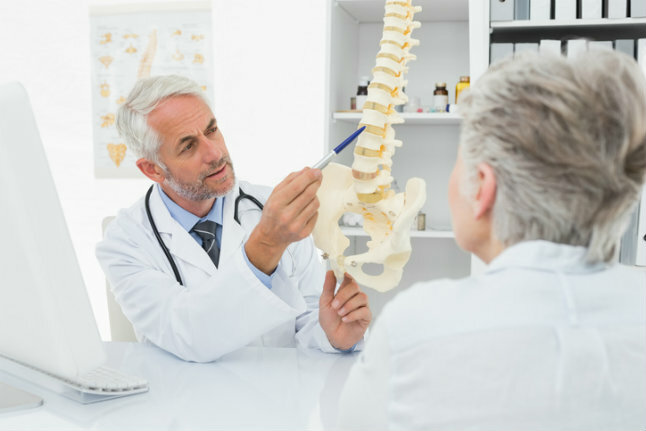 In this article, we’ll discuss some helpful tips orthopedic surgeons can use to improve their patient communication skills. Here’s an interesting fact: In 2015 alone, the FDA approved nearly 70 new medications and over 40 new medical devices. Just five years ago, the number of medication and device approvals was 56, about half the 2015 total. 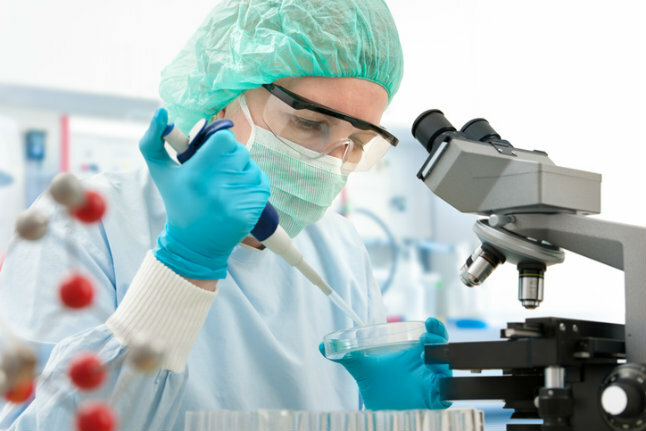 Because the sum of FDA approvals (and, in turn, the amount of clinical research trials) has surged in the last several years, there has been a dramatic increase in the need for qualified physicians to be a part of these trials. 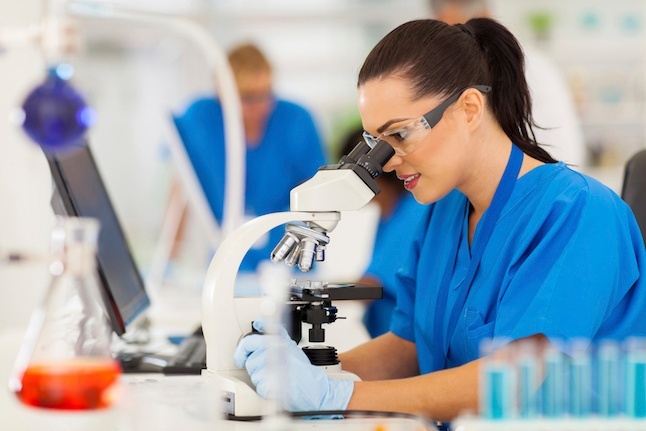 While participating in clinical trials represents a significant time commitment, the benefits to medical institutions, patients and the physicians themselves are numerous. 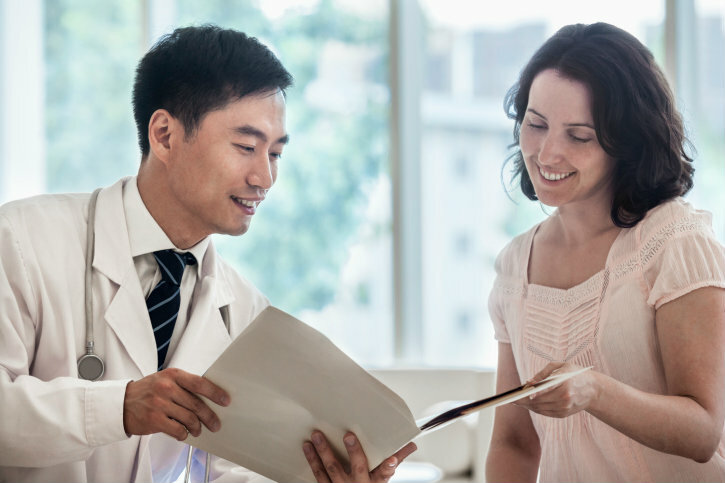 Here are nine reasons providers should consider participating in clinical research. The benefits of community health programs are numerous. Improving the availability, accessibility and quality of healthcare in a particular area leads to a better quality of life for community residents. However, developing health programs that effectively engage the community can be difficult for healthcare administrators. The goal of these initiatives is to meet the needs of the community, but it can be challenging just to identify those needs, let alone establish programs residents will actually use. Read on to discover four ways healthcare administrators can improve community health planning and create a program that effectively promotes safety, healthy lifestyles, injury prevention and early detection of health conditions. Providing the best hospital experience for patients requires coordination and communication between all providers involved in a patient’s care. 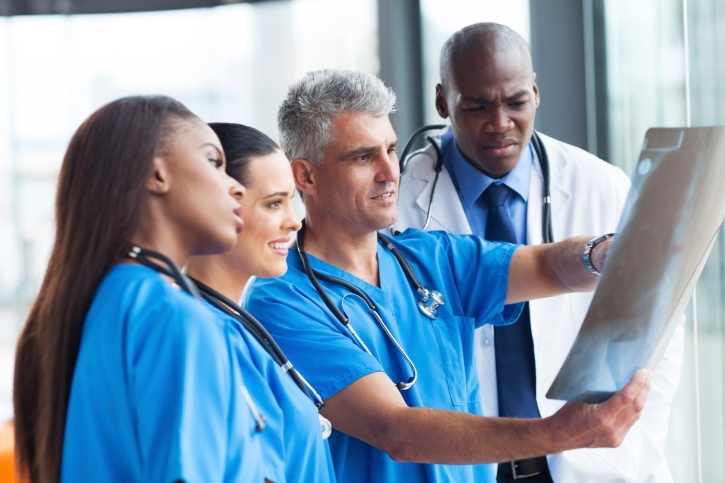 This cooperative approach is referred to as interprofessional collaboration, and its goal is to help doctors and nurses work together to administer the highest quality care. 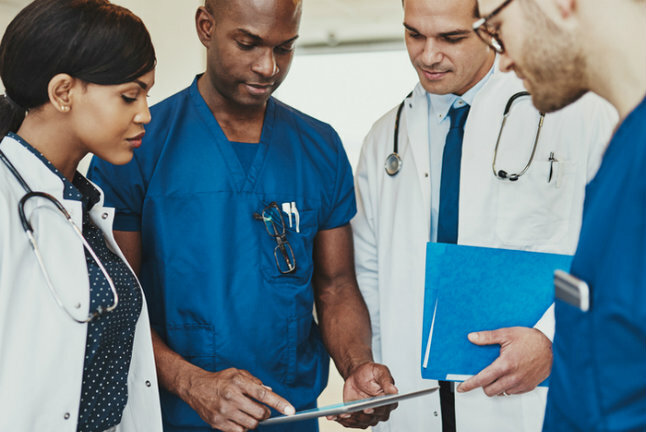 Interprofessional collaboration fosters trust and respect between all healthcare providers and encourages the practice of treating nurses as equals with physicians. 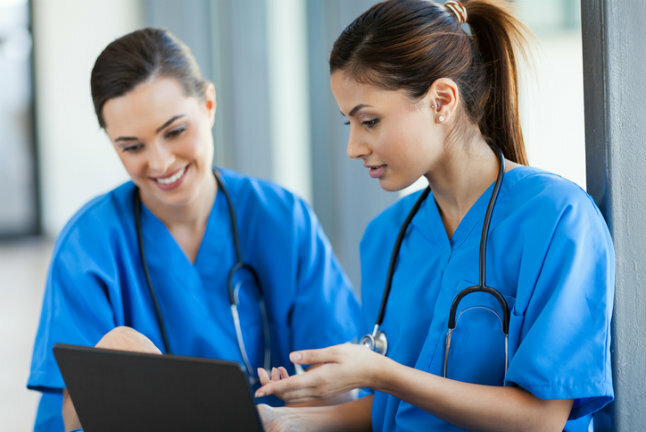 In this post, we’ll discuss how nurses can collaborate across disciplines to ensure each healthcare professional’s expertise and experience are applied in the most effective way possible. 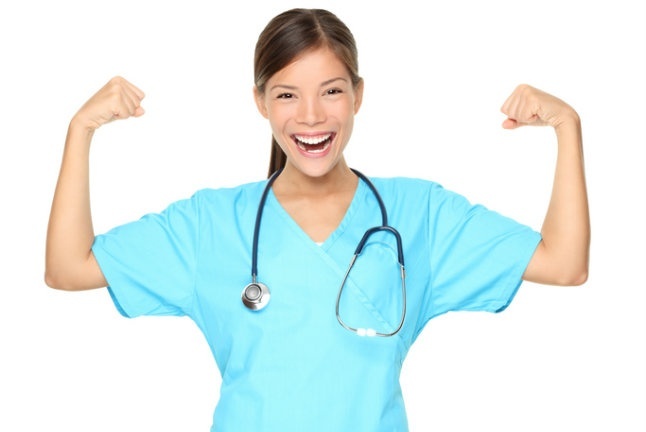 It takes remarkable resolve to become a nurse and extraordinary determination to become a nurse leader. Taking the next step and transforming into a superior nurse leader requires an impressive level of commitment. Great nurse leaders are experts in multiple areas: people management, administration and, of course, patient care. 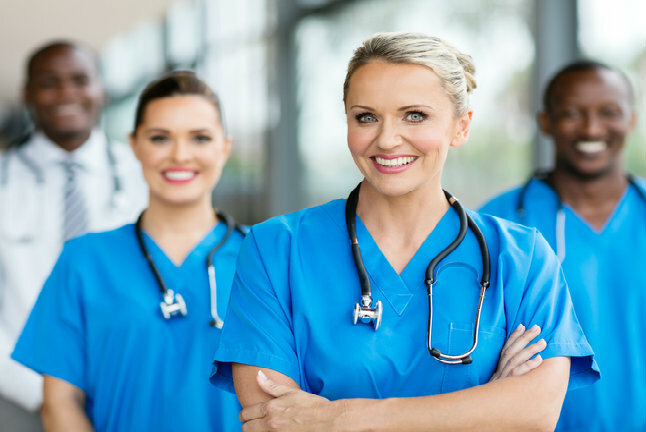 What makes a truly exceptional nurse leader? Here are five qualities all outstanding nurse leaders have. 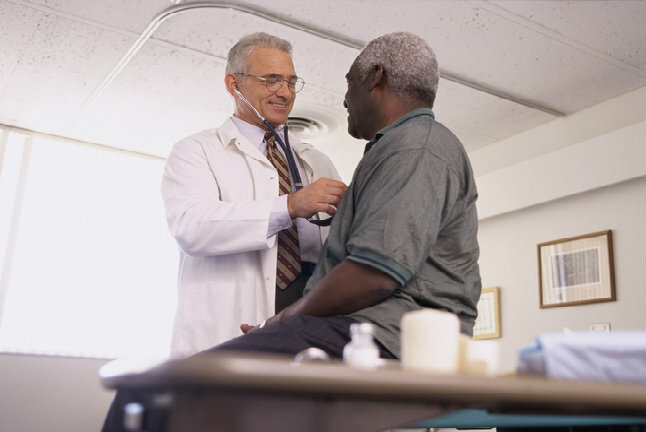 Do You Know These 7 Secrets to Patient-Centered Care? 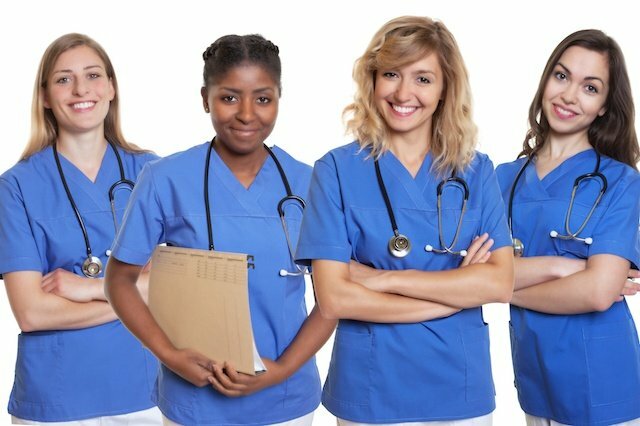 We’re likely all familiar with the saying, “A chain is only as strong as its weakest link.” One of the reasons a nurse is promoted to the position of nurse leader is because he or she knows how to strengthen each link in the chain and help every member of his or her team reach their full potential. When a team is running at full capacity and has the support of the nurse leader, they can focus on administering the best quality care to their patients. View the SlideShare below to learn seven ways nurse leaders can empower their team to provide patient-centered care. When supervisors at hospitals and healthcare facilities are interviewing candidates, their primary concern is whether or not the prospective employee has the requisite clinical skills. While this is a crucial aspect of the hiring process, it’s equally important to evaluate soft skills, such as how a candidate works with a team, his or her communication skills and ability to collaborate. 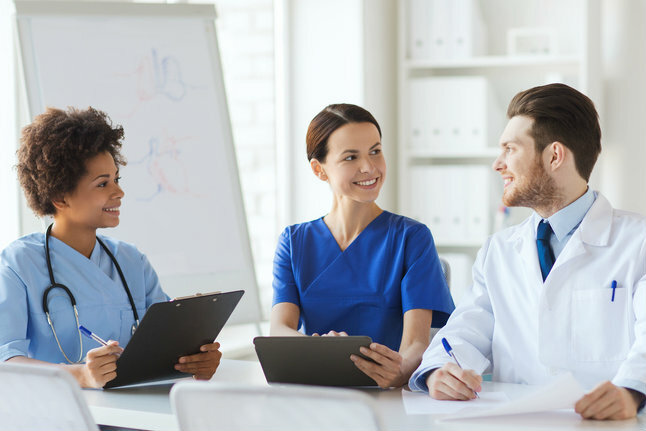 Hiring a nurse who doesn’t fit within your organization’s culture can quickly disrupt the stability of your team and the efficiency of your organization. 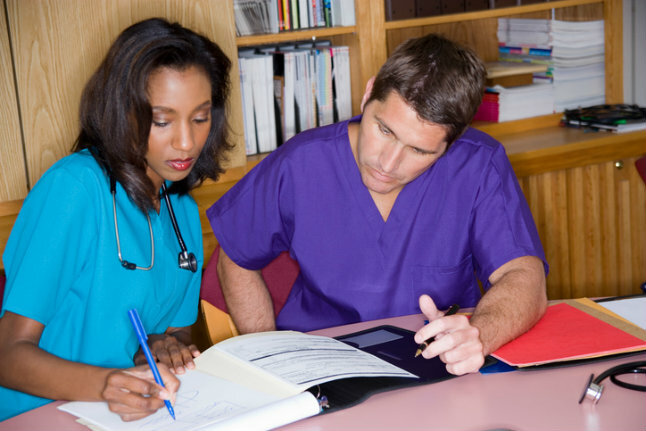 Here are a few tips to keep in mind the next time you conduct a nursing interview. If you peer into the back of the supply closet of most private practices, you’ll find a stash of rarely used medical supplies. Maybe your staff ordered more tongue dispensers than you could need in a lifetime, or an “amazing new product” didn’t turn out to be so amazing after all. 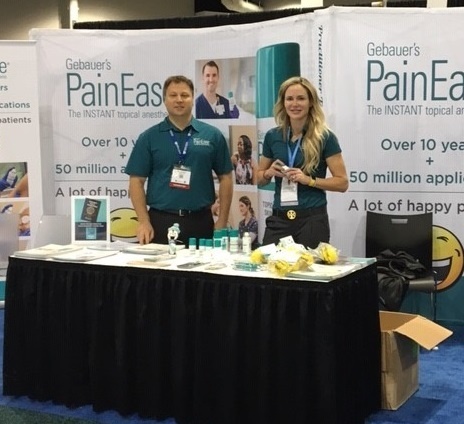 Making poor supply choices not only hurts your bottom line, but it can also affect patient satisfaction—for example, if you run out of an important patient comfort product, it can negatively impact the patient experience. 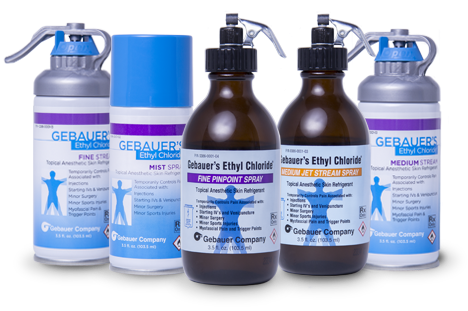 Keep the tips below in mind when you decide which products to keep or remove from your practice. What would you say makes a good hospital administrator? Some attributes are obvious—for example, strong communicator, team player and effective negotiator. Exceptional hospital administrators, however, possess a set of more advanced characteristics on top of these basic qualifications. 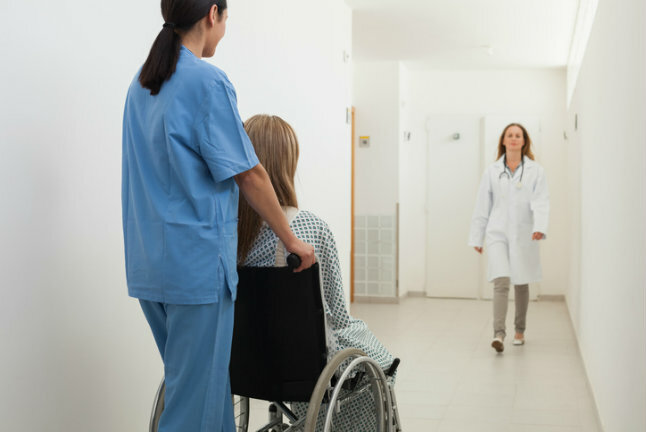 These qualities help them ensure their organization is running as efficiently as possible and patients are completely satisfied with their hospital experience. 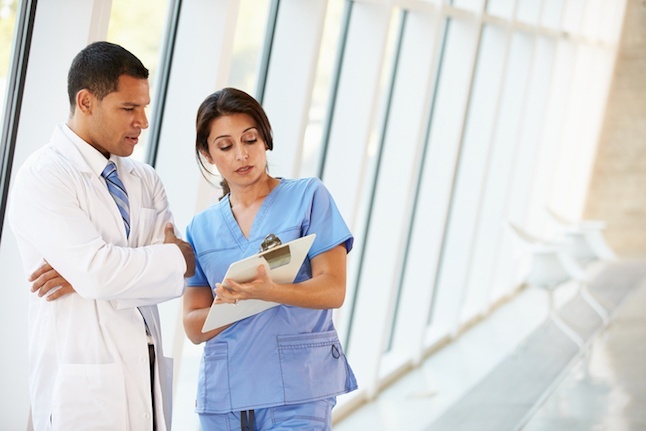 Here are four important traits every successful hospital administrator should have. 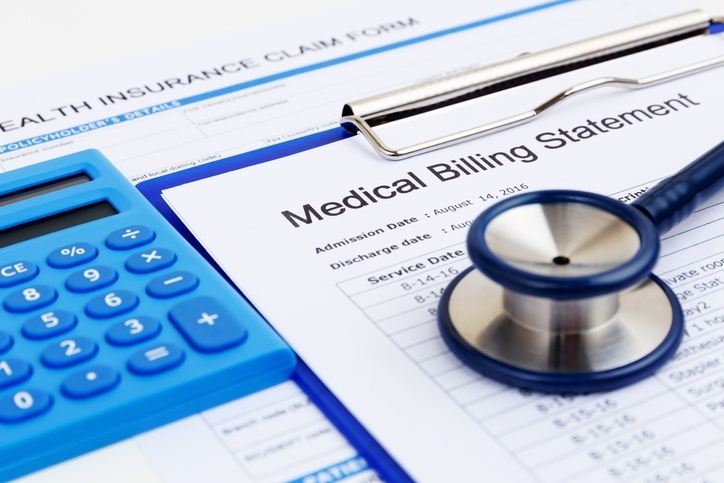 The Affordable Care Act (ACA) and the introduction of ICD-10 have complicated the already complex medical billing system. 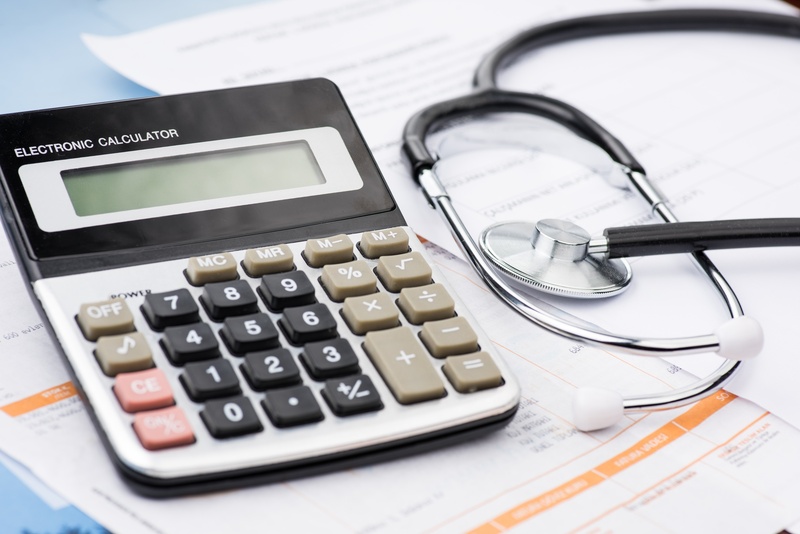 Due to changes in Medicaid and Medicare reimbursement as well as the different requirements for high deductible insurance plans, it’s becoming increasingly difficult for physicians to meet the financial goals they’ve set for their practice. However, making the changes below may help improve the financial health of your practice and reduce the impact of the ACA. 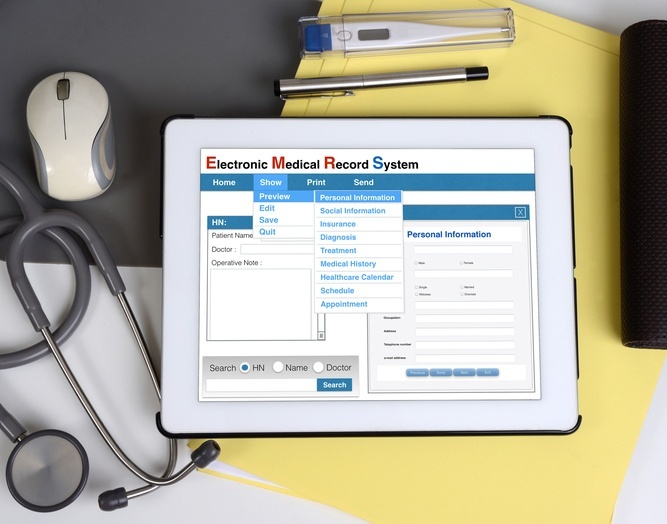 With the introduction of the Medicare Electronic Health Record (EHR) incentive program and Meaningful Use, physicians have faced even greater pressure to balance efficiency and patient satisfaction. 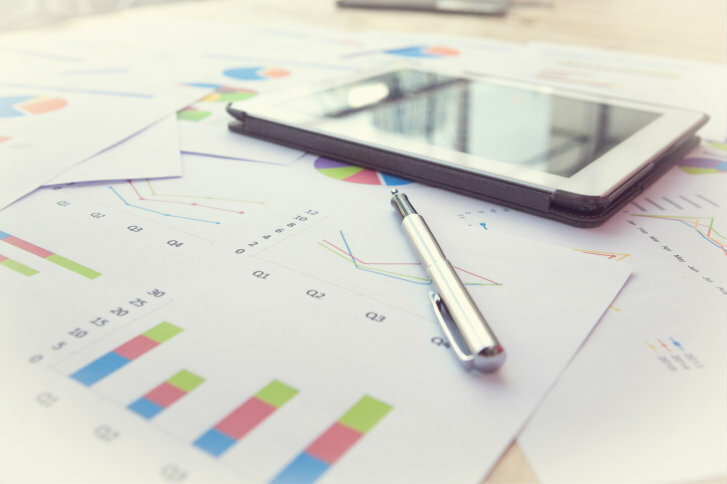 It can be difficult to input patient data accurately while simultaneously ensuring patients feel their concerns are being properly addressed. 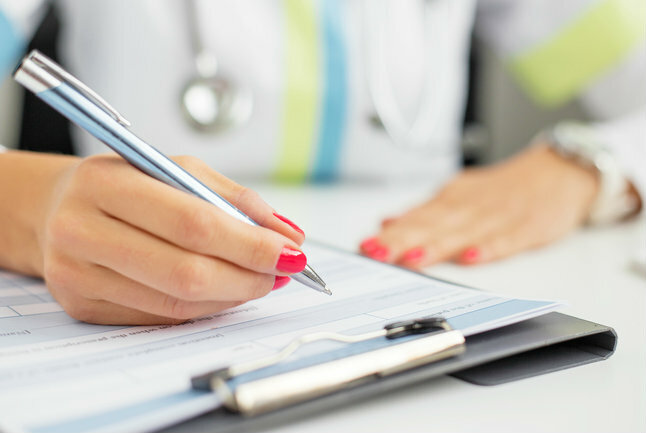 The utilization of a medical scribe program can help doctors focus on providing a positive experience for their patients because the responsibilities of recording the patient’s past medical history and current complaints are delegated to a trained professional. 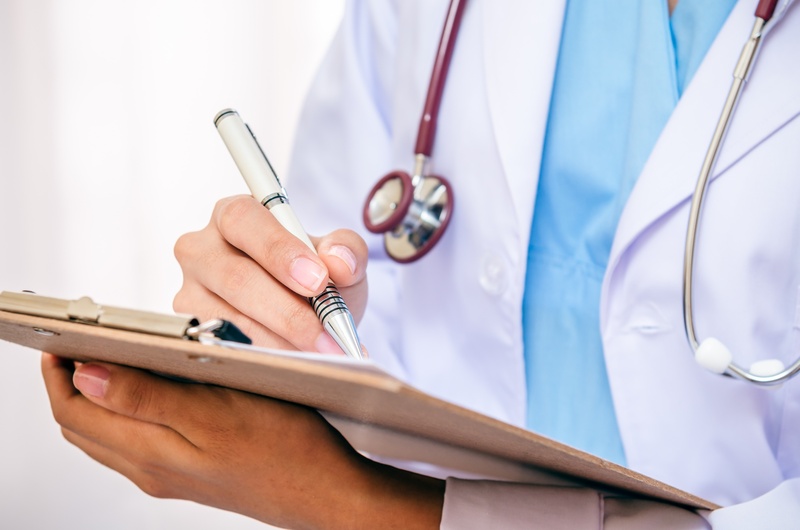 This post will examine the relatively new role of the medical scribe, including their training, primary duties and benefits to providers. Many pediatric trauma patients are terrified when they arrive at the hospital. Fears about the extent of their injuries and concerns about their family members can make the experience even more overwhelming. When children are too upset to respond to questions about their injuries, it can be difficult to know exactly how to treat them. 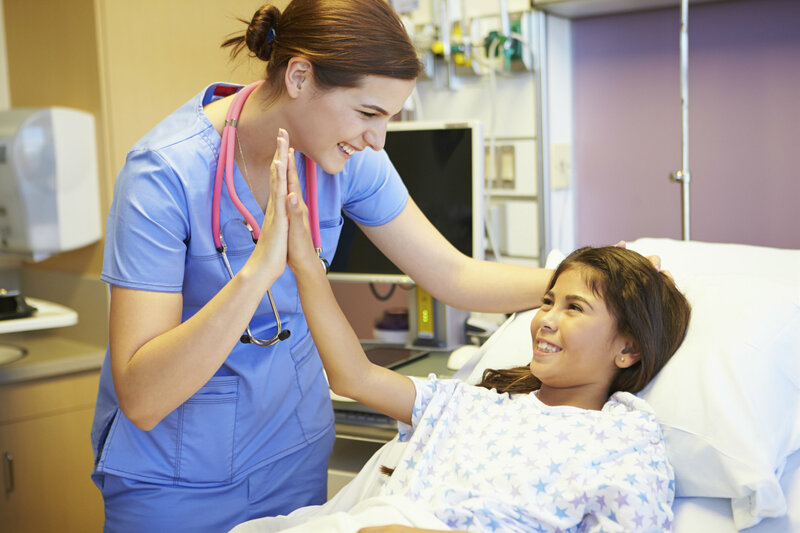 Nurses who act as supportive advocates for their pediatric patients can help children cope with a potentially life-changing event and minimize emotional trauma. 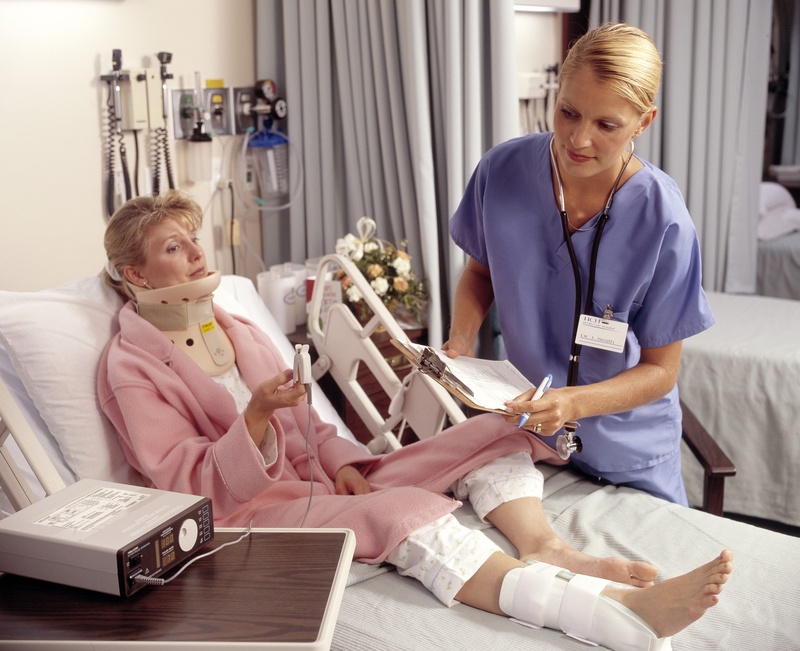 Here are four ways nurses can improve the hospital experience for pediatric trauma patients. Living with a chronic illness is difficult no matter your age, but it can be particularly hard for pediatric patients. Without appropriate coping skills, they may fail to comply with their treatment plan (either deliberately or unintentionally), which can result in more frequent hospitalizations and avoidable complications. 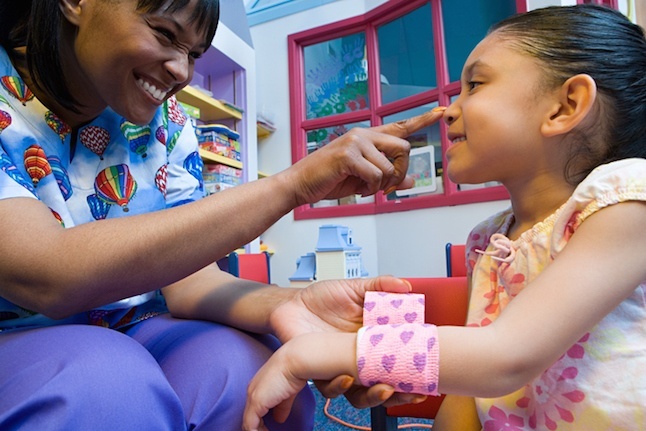 Here are a few ways your nursing staff can help pediatric patients cope with chronic illness. Whether you’ve recently graduated with your BSN, or you’ve already spent a few years at a hospital and are looking for something new, many different roles in the field of nursing can be the next step in your career. 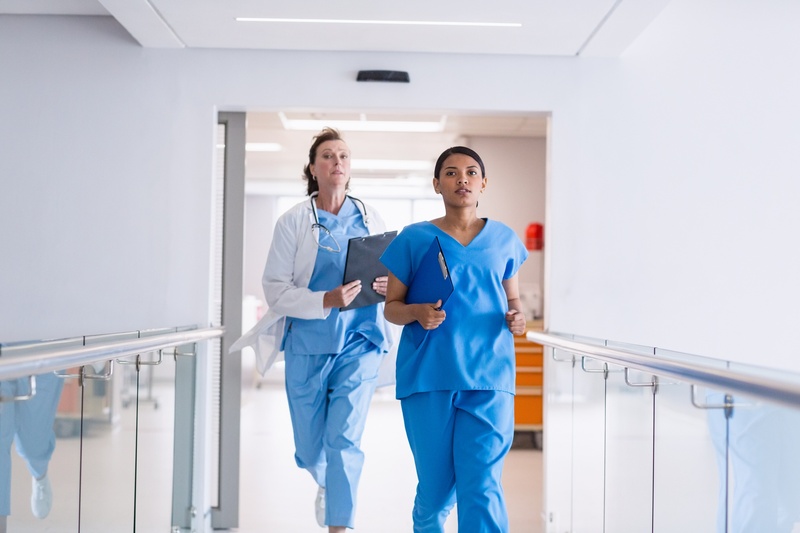 In this article, we’ll discuss four career paths in the nursing field you can take if the clinic or hospital environment is not the right fit for your professional goals. Nurses typically have the most contact with patients, meaning they are likely in the best position to be their voice in discussions about their plan of care with doctors, support staff and even family members. The core ideology of patient advocacy is ensuring the patient’s satisfaction and safety, while advocating for their best interest. Here are four tips you can use to be strong patient advocates. 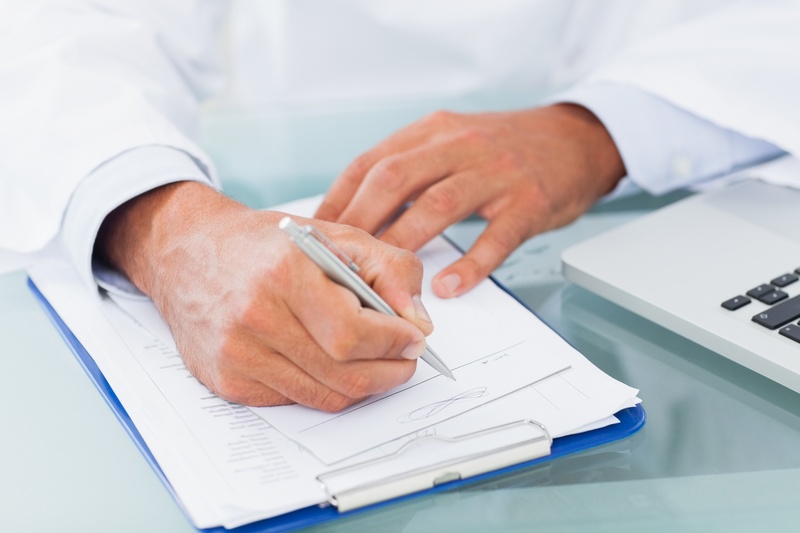 A violation of HIPAA regulations, even if the infraction is accidental, can be costly. If HIPAA rules are unintentionally violated, the Office for Civil Rights assesses a $100 fine per offense. If the infraction was willful and no attempt was made to correct the problem, the fine can escalate to $50,000. HIPAA violations can cost your institution thousands of dollars and damage the relationships you’ve worked so hard to establish with your patients. These tips can help you ensure HIPAA compliance and keep patient information safe. In this era of patient-centered care, motivating patients to take charge of their health care is more important than ever. 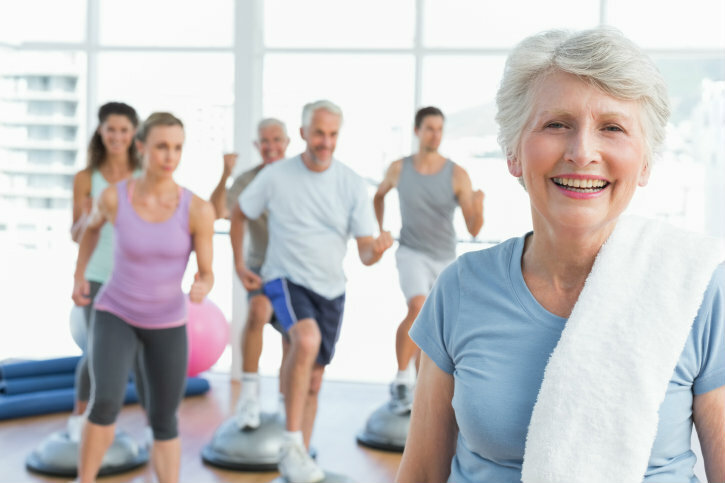 Patients who take a more active role in managing their health are more likely to stick to treatment plans and often experience an improved quality of life. This five-step guide will help you how to promote patient independence and teach patients how to become more autonomous. Hospital visits and trips to the doctor’s office are rarely pleasant, and chronically ill pediatric patients (along with their families) must make those treks on an all-too-often basis. Healthcare professionals who sympathize with this and adopt patient-centered care tend to see higher levels of patient satisfaction since the focus is on providing the best possible experience for their patients. 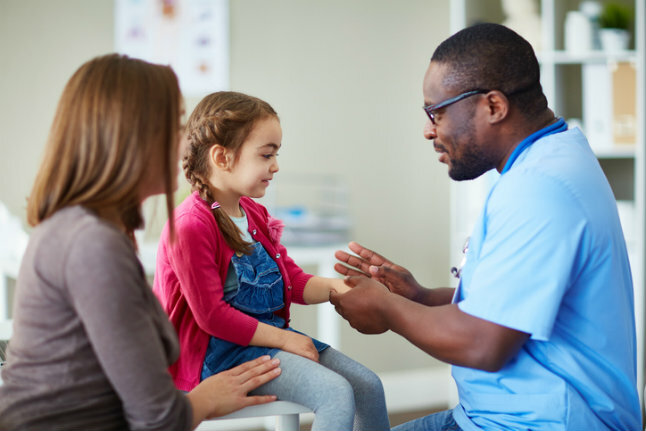 In this article, we discuss three types of pediatric therapy that can help foster a more positive environment for your patients and their loved ones. 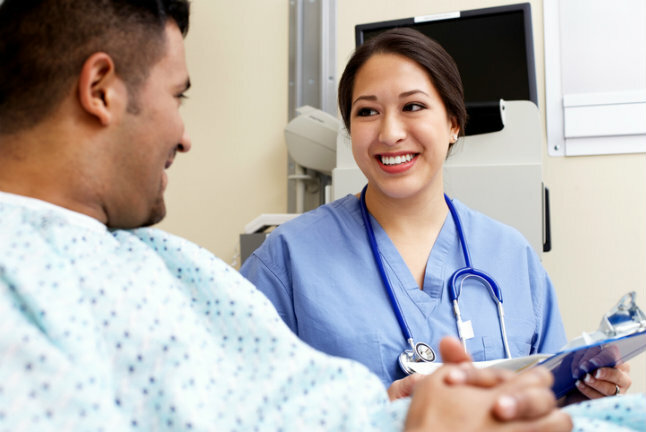 Although they’re following traditional American customer care best practices, your nursing staff may be unintentionally disrespectful to patients if they aren’t taking the patient’s cultural or religious background into account during interactions. Behaviors that are acceptable to some of your patients, such as shaking hands or making eye contact when speaking, may be seen in an entirely different way by patients from other cultures. 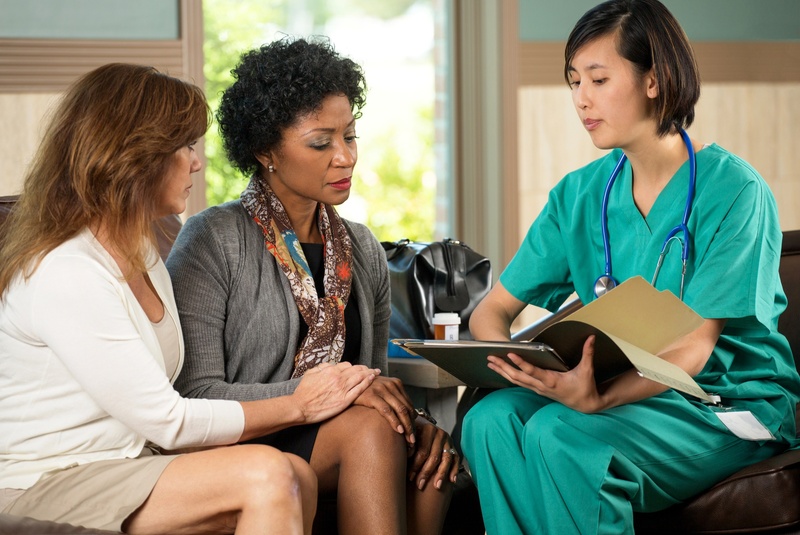 Emphasizing culturally congruent care—an approach that blends patient care with patient values, beliefs, lifestyle and traditions—can help every patient feel comfortable and increase your CAHPS scores. Culturally congruent care involves a personalized approach, rather than a cookie cutter method. Avoiding the following errors will help you ensure patients are satisfied with the care they receive. What is a Product Pre-trial and Should I Conduct One? As a hospital administrator, you’re always looking for ways to improve workflow and increase patient comfort. For example, you may decide to revise the process for patient admission or perhaps add a new product to your hospital’s standard treatment regimen. However, sometimes products that look good on paper don’t always deliver the results you expect. How can you avoid investing money in a product that may not be a good fit for your institution? Conduct a product pre-trial. These can also be called product evaluations, product assessments, product reviews, etc. This post will cover why to conduct a product pre-trial, how to start the process and the steps involved in the trial. Do You Have What It Takes to Be a Nurse Leader? Are you a nurse who’s passionate about improving the quality of care your patients receive at every stage of their visit, from check-in to discharge? Are you ready to step into a leadership role and coach staff members on the practices that would benefit your patients and your institution? Can you coordinate communications within your own department and across departments? If you answered yes to these questions, then you just might have what it takes to be a successful nurse leader. Take our quick quiz to find out if you are ready for the next step in your nursing career. You’ve worked hard to improve the culture of your hospital and are finally seeing the fruits of your labor with improved HCAHPS scores, reduced turnover and increased employee satisfaction. Unfortunately, it only takes a few incidents of lateral violence among your nursing staff to undo your efforts. In the past, lateral violence was largely ignored. “Nurses eat their young,” was the joke, and it seemed no one cared to change the status quo. While today’s environment is better for both patients and hospital employees, this doesn’t mean lateral violence and bullying are no longer an issue. As a nurse leader, it’s up to you to creating a plan to change attitudes and behaviors, and finally putting an end to the problem. If you’re like most nurse managers, preparing the nursing department annual budget is not your favorite part of the job. 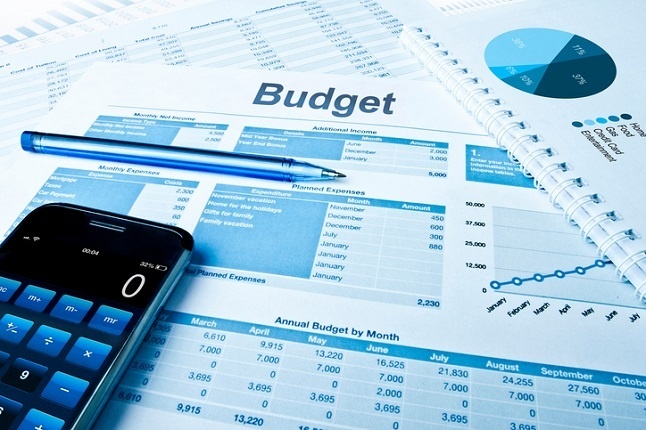 The budgeting process can make even normally calm, collected nurse managers resort to a few choice words as they struggle to create a budget that won’t shortchange patients and nursing staff. 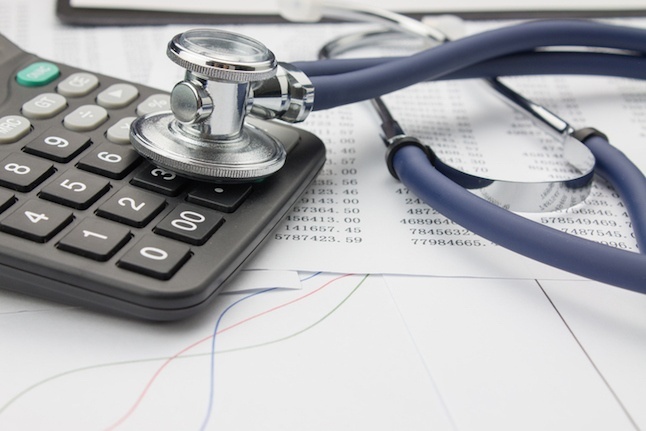 These days, “budget cuts” is a common phrase among hospital administrators. 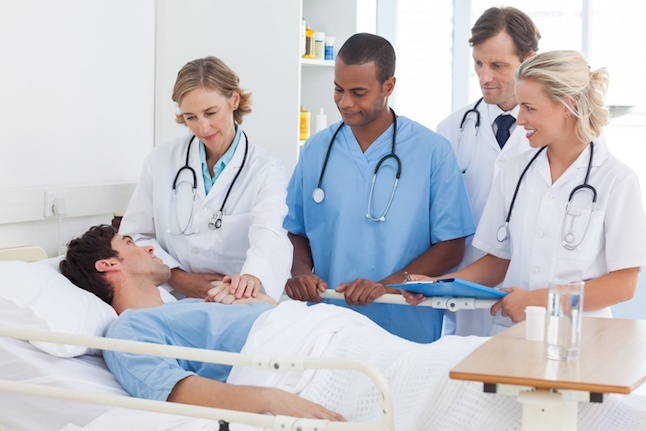 Although running a lean organization is essential to the survival of your hospital, when cuts affect crucial services, it can be difficult to reconcile your facility’s mission to provide excellent care with cuts that surely will affect the quality of patient-centered care. 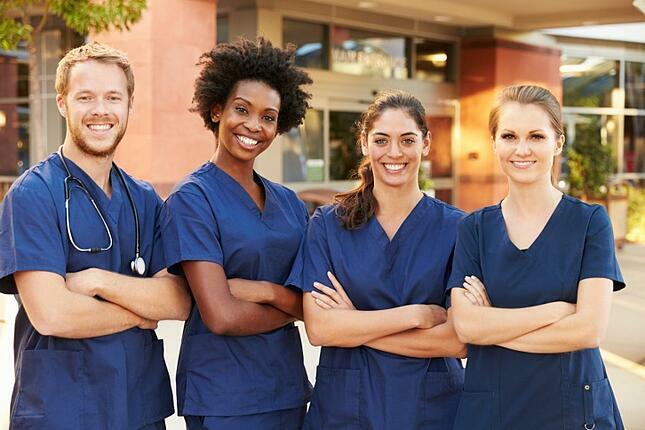 This week is the 25th anniversary of the first National Nurses Week, an annual opportunity to show nurses appreciation for the outstanding contributions they make to your community. Nurses wear quite a few hats: confidante, advocate, adviser, counselor and, of course, caregiver. We should always do our best to remember just how important nurses are. Keeping senior patients comfortable can be challenging, particularly if patients have multiple issues. It is important to both patients and their families that they are kept as comfortable as possible. And, it should be important to your hospital, too, since patient comfort plays a major role in patient satisfaction and HCAHPS scores. 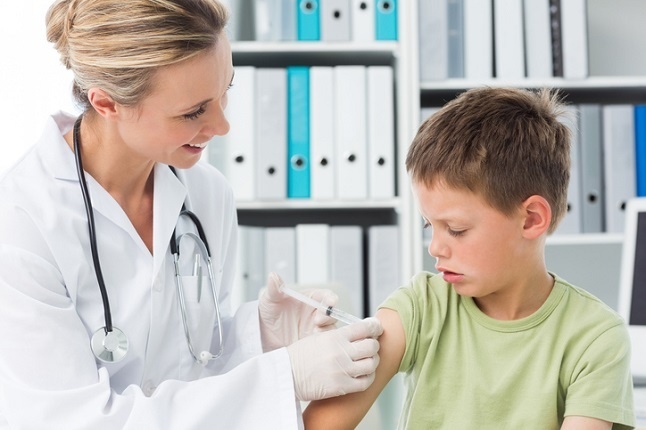 Running a private practice is doubly hard when you’re a pediatrician. From crying, anxious children to nervous adults, not only do you have to keep your patients happy, but you also have to make sure parents are satisfied, too. 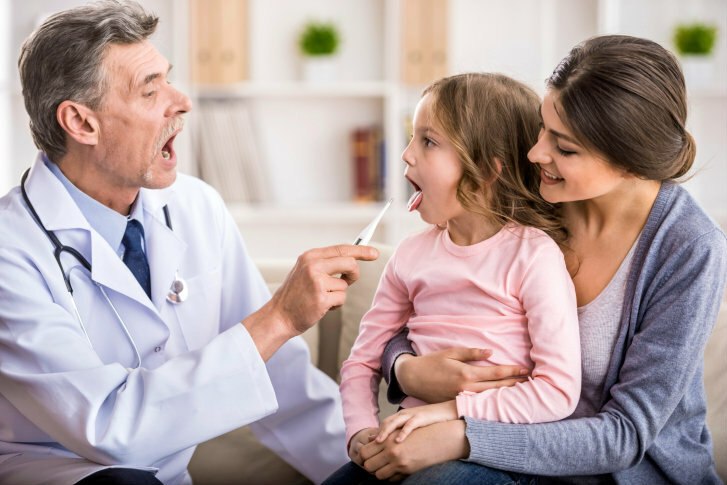 The best pediatricians have found ways to improve pediatric patient experiences using easy-to-implement tactics. Here are a few strategies you can use to support both your patients and their families. The transition from pediatric to adult care can be confusing for patients, parents and families. It means new doctors, new routines and possibly new treatment plans. Furthermore, the transfer of legal responsibility to the patient (upon reaching adult age) can be emotionally and logistically troubling for parents or caregivers. This doesn’t even take into account the numerous life changes these young adult patients are already facing outside their medical care. 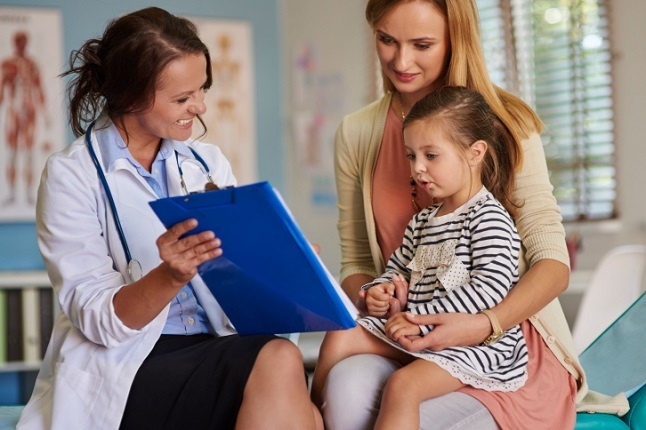 Transitioning pediatric patients shouldn’t be taken lightly, as many unforeseeable challenges could deter patients from receiving the care and support they require and deserve. But sadly, more than 50 percent of parents polled by the National Survey of Children with Special Health Care Needs claimed no one even spoke to them about the upcoming need for their child to switch to adult care. Hospitals have a way of making children feel vulnerable and afraid, especially when their visit involves surgery. Any time a child requires surgery, parents understandably get emotional. Fear, worry, stress, anxiety—these are all powerful reactions to pediatric medical procedures that healthcare professionals must handle with compassion. Instinctively, healthcare professionals focus on physical health first. But mental health is scientifically proven to have a significant impact on physical wellbeing, which means it must also be a medical priority. Pediatric patients are particularly difficult to care for in this realm because sometimes they struggle to express how they’re feeling or advocate for what they want or need. That’s where exceptional communication becomes a critical part of care. 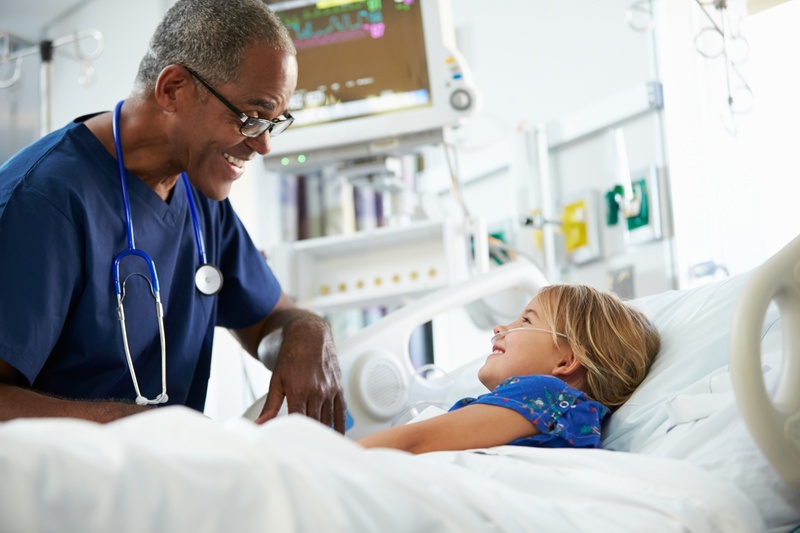 In most cases, it is the uncertainty about a surgical procedure that amplifies a pediatric patient’s emotions (and consequently, their parents’). With the right approach and communication skills, healthcare professionals can help younger patients feel less vulnerable and more included in their own treatment plan. 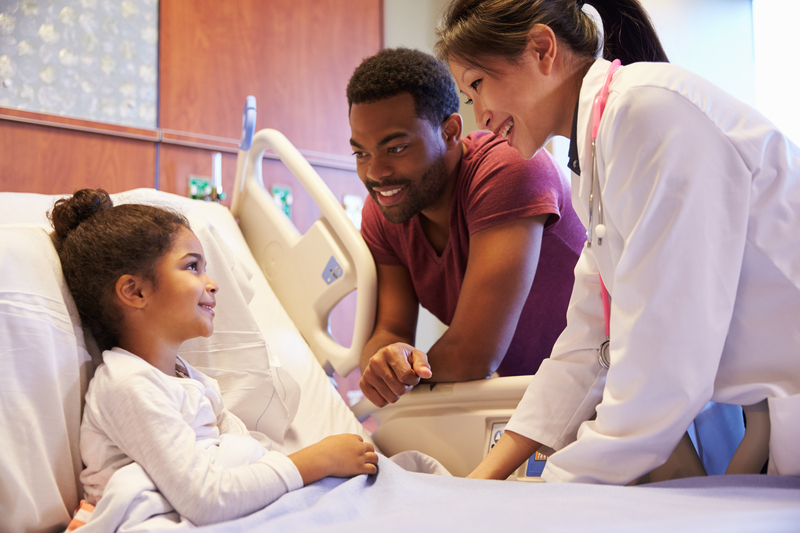 Follow these tips on how to communicate with pediatric patients before surgery to make their hospital stay less traumatic. You know that frustrating feeling when you are looking for a gauze pad, but you can’t find it? And it turns out you can’t find it because it is listed under New Gauze or the manufacturer of the product on your inventory list? (We can almost see you nodding your head right now.) All you want to do is take care of your patient, but inventory management is making it difficult. 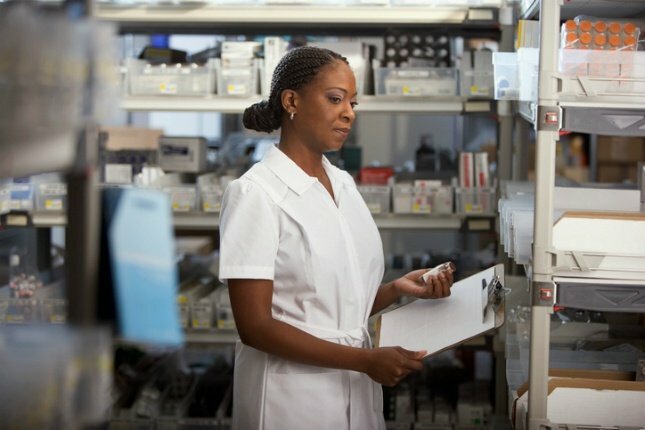 Maintaining supplies may be an essential part of your job as a nurse leader, but we understand it can be hard to keep up with inventory management (or influence it when you don’t control it) when you have so many other responsibilities. Developing a strong relationship with the materials management department, taking advantage of the capabilities of digital inventory control and using a few old-fashioned tips can help you stay on top of this portion of your job, even on the craziest of days. Here are a few tips to help nursing inventory supply and to ensure your staff is never without the supplies it needs. Your shift starts off with one of your patients crashing, your new admission arriving, and the gentleman in room 204 falling and hurting himself. Immediately you feel the pressure of all you have to accomplish. You may be thinking, “How will I get this all charted in a timely manner and still handle my med pass on time?” The healthcare industry has recognized this plight and has made strides to help nurses more efficiently handle their daily tasks, including charting. Should Your Hospital Start a Pet Therapy Program? 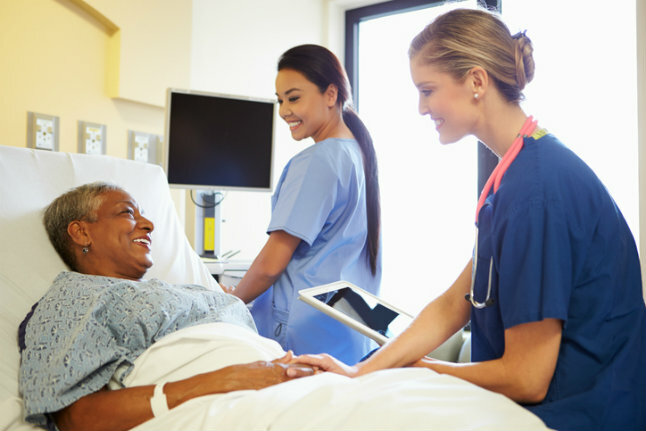 With patient satisfaction ratings tied to reimbursement levels, it’s more important than ever to ensure patients have a positive experience at your hospital. A pet therapy program offers a low-cost, low-tech way to improve the patient experience without impacting staffing levels. 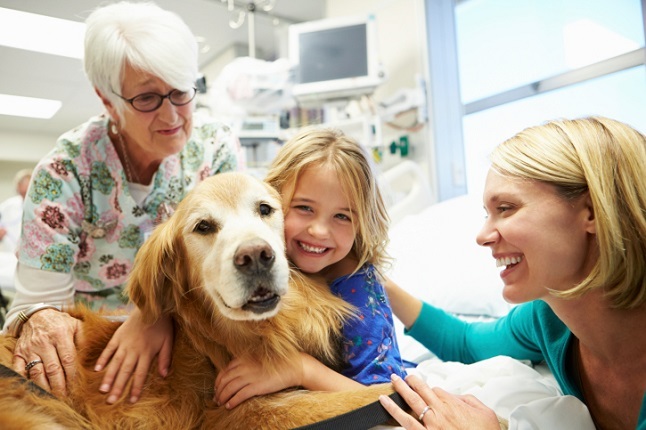 Not sure if a pet therapy program is right for your hospital? Consider these benefits before you make your decision. Most of us do it—if not for ourselves, for someone we care about. We Google symptoms and self-diagnose before we decide whether or not to see a physician. 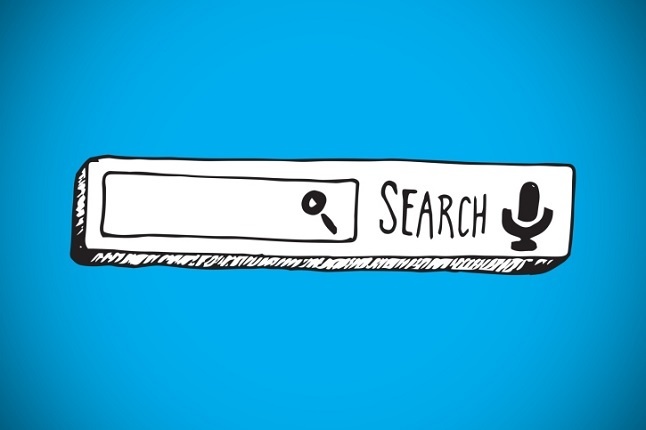 In fact, Pew reports that 72 percent of Internet users search for health-related information online. Think about it: how many times have you arrived for a doctor appointment prepared with a list of possible reasons for your ailment? Treatment Decisions: How Involved Should Patients’ Families Be? 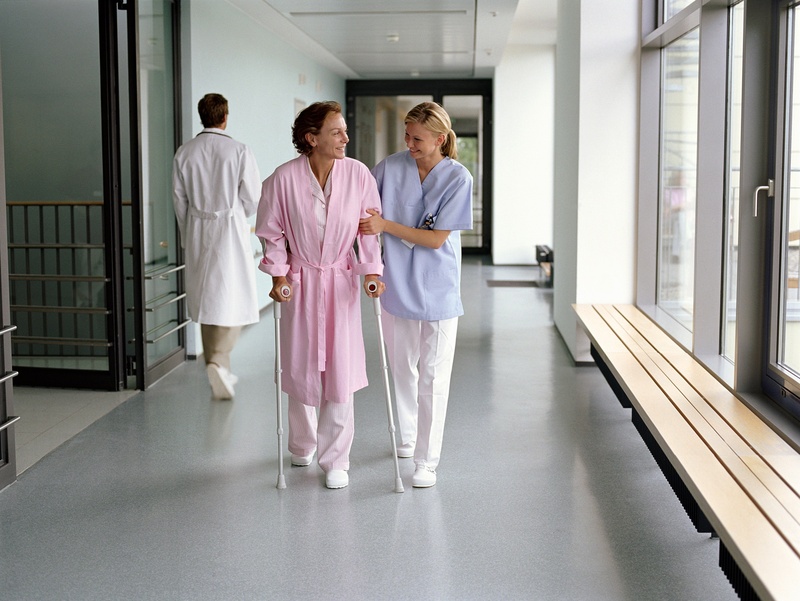 Family members play an important role in a patient’s recovery. They’re often the ones who make sure their loved one takes medications, makes necessary lifestyle changes and follows aftercare recommendations. Although family members can provide the support recovering patients need, sometimes they become overly involved in the decision-making process. When relatives try to control a patient, rather than support him or her, trouble lies ahead. All too often, hospital staff members become caught in the middle. It’s crucial for family members to understand how they can provide a supportive role. Striking the right balance isn’t always easy, but as a medical professional, you can help educate family members about helpful roles they could take on using the following talking points. Attracting new patients is a constant concern for most physicians in private practice. Whether you want to expand your practice or just make sure your patient load remains stable, adding new patients is an essential aspect of your business. These three strategies will help you attract and keep quality new patients to grow your private practice. 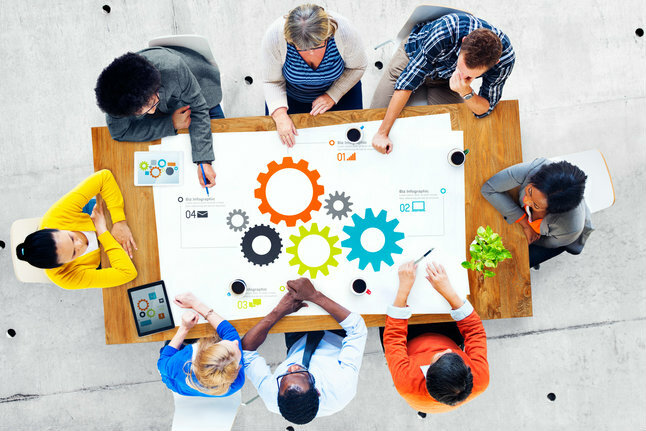 It may be a cliché, but your employees really are your most valuable assets. If you fail to create a strong work culture, you risk losing your best employees to your competitors. The entire hospital suffers when your top performers decide there are better places to work. 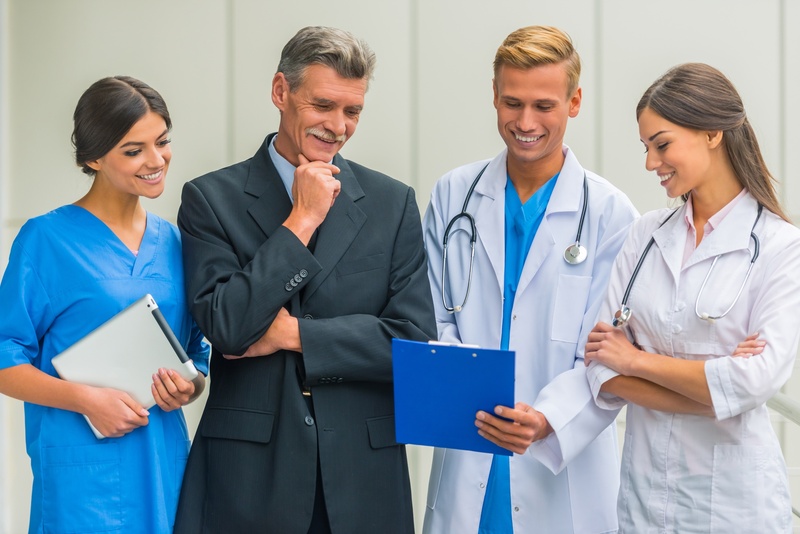 Without the best and brightest, it’s difficult to create a positive culture that not only empowers and engages employees but also improves the patient experience. Here are steps healthcare administrators can take to ensure a positive work atmosphere for employees. 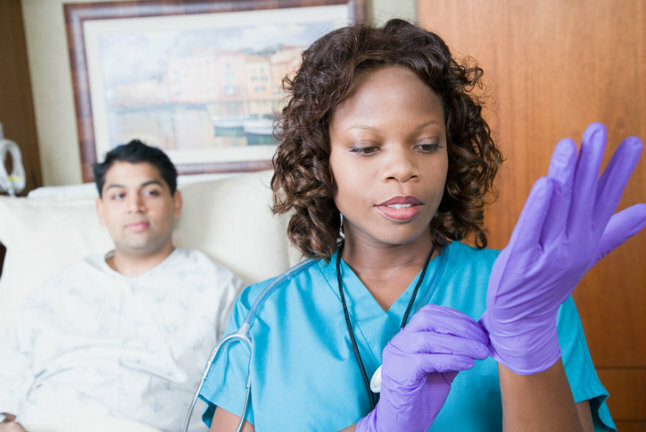 For nurses with ever-changing schedules, adapting to changing shift cycles can present several unique challenges. Shift work isn’t always kind to your circadian rhythm—the body’s natural clock that keeps us awake during the day and slows us down at night. Patient care is a 24-hour operation, so to take care of yourself and ensure patient safety and satisfaction, it’s necessary to make adjustments to your sleep schedule and daily routine. Especially for busy nurses who are always on their feet, self-care is crucial for job satisfaction and improving the patience experience. Complicated paperwork, lengthy waits and concerns about your condition can increase your stress level when you visit the doctor. By the time your physician asks if you have any questions, you may feel so overwhelmed that you forget to ask about important issues. 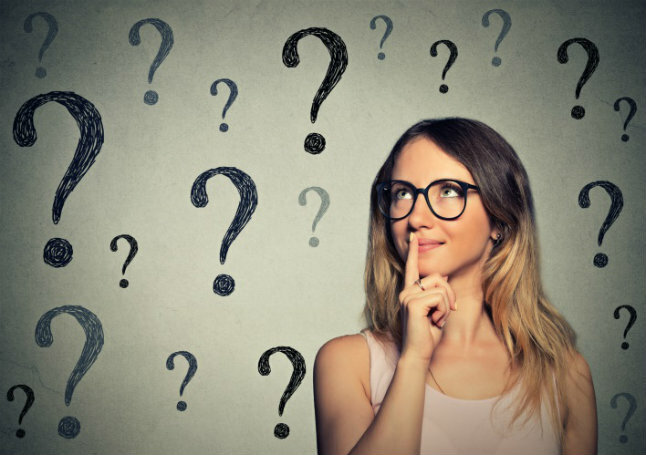 Preparing a list of healthcare questions in advance, including those listed below, will help you make the most of your time with the doctor and increase satisfaction with your experience. Nurses play a critical role in caring for patients and improving outcomes, but also ensuring hospitals maintain higher HCAHPS scores. While some staff changes are expected, a high turnover rate can be disruptive to the team and affect patient care and satisfaction. As a nurse leader, it can be frustrating to train and manage a nurse only to have him or her become unengaged, or worse, leave the job. So what can you do to change the trend? Nurse leaders can help reduce turnover. But, first, let’s look at what leads to turnover. When your entire job centers on caring for others, it’s easy to let your own health and wellness fall by the wayside—especially when it comes to maintaining a work-life balance. Overseeing a practice means managing a staff and business finances, providing services to your patients and keeping them fully satisfied. Given everything on your shoulders, it’s easy to fall into the habit of working long hours with little or no break. However, burnout can (and will) eventually rear its ugly head. There’s a common misconception in the medical field that to be successful, you must make extreme personal sacrifices. While getting to where you are certainly required a great deal of discipline and dedication, it doesn’t mean you have to give up the idea of a balanced life. Here are a few tips to help you achieve harmony in work and life while still meeting goals for your practice. Ahh, New Year’s resolutions. Everyone begins the year so committed, so hopeful and so diligent. According to Nielsen, the two most popular resolutions in the United States are “staying fit and healthy” and “losing weight.” As a physician, that’s likely music to your ears. Now for the not-so-great news: Research also says 25 percent of people who make health resolutions can’t even make it through the first two weeks. Given that we’re already nearly a month into the new year, 1 in 4 have likely already thrown in the towel. 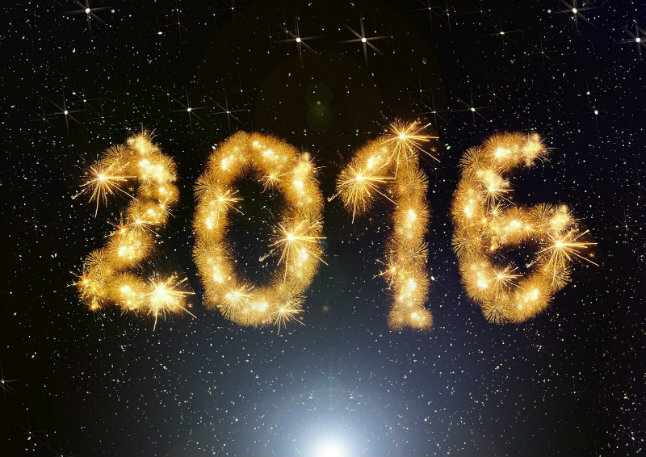 Luckily, there’s still time to get your patients back on track and committed to preventive care in 2016. Here are a few ways you can increase their success rate. Thanks to unlimited access to healthcare information online, today’s patients are more informed than ever before. With a few strokes of a keyboard, anyone can search their symptoms and instantly access page upon page of health and wellness advice. Unfortunately, this proliferation of health resources also leads to an increase in the opportunity for misinformation and incorrect self-diagnosis. 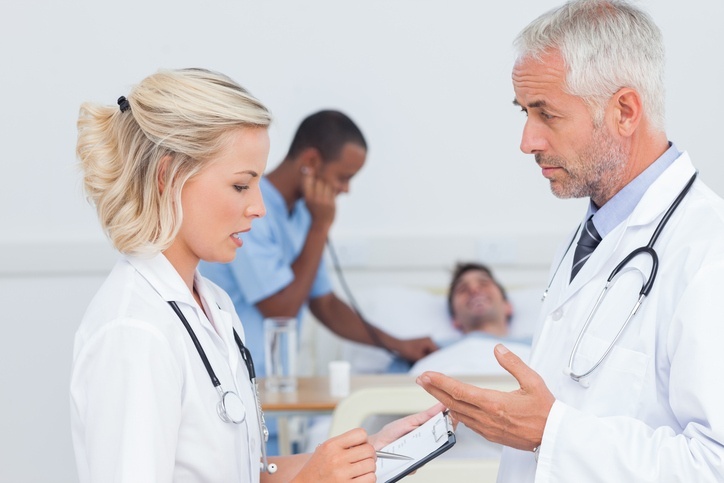 Misinformed patients can be a patient communication challenge for healthcare teams. 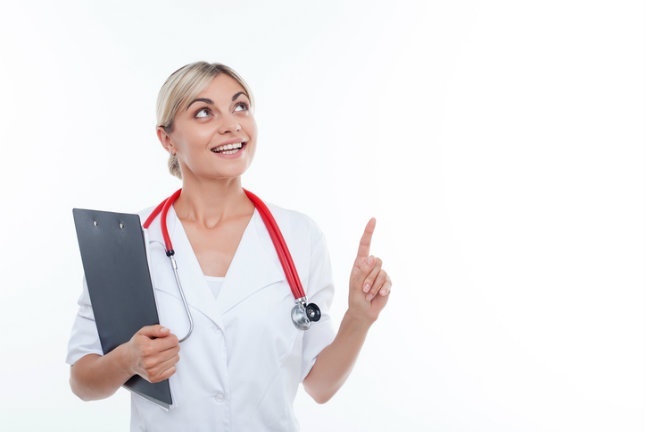 Luckily, because nurse leaders and their staff are frequently the first to interact with patients and their families, they can immediately start the process of clearing up misconceptions and help increase the likelihood of better outcomes. 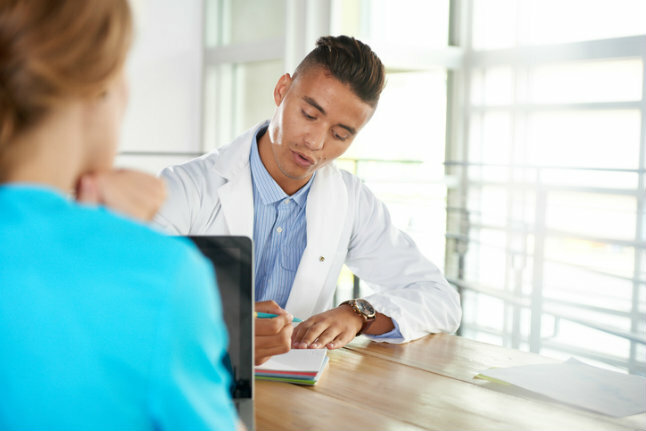 Here are four tips to foster better communication with misinformed patients, quell unnecessary anxiety and ensure improved patient comfort and satisfaction. Can you believe we’re already three weeks into 2016? Like many business owners, you likely spent the beginning of the year reflecting on previous successes and setting new goals. What are you doing to ensure your practice continues to be successful this year? To help you get on the right track, we’ve put together a list of five private practice goals you should focus on to help you improve and strengthen your practice in the coming year. Should Your Hospital Create a Patient Advisory Board? It’s difficult to commit to a patient-centered care approach without input from patients. Although surveys are helpful, they’re no substitute for conversations with people who’ve been patients in your hospital. 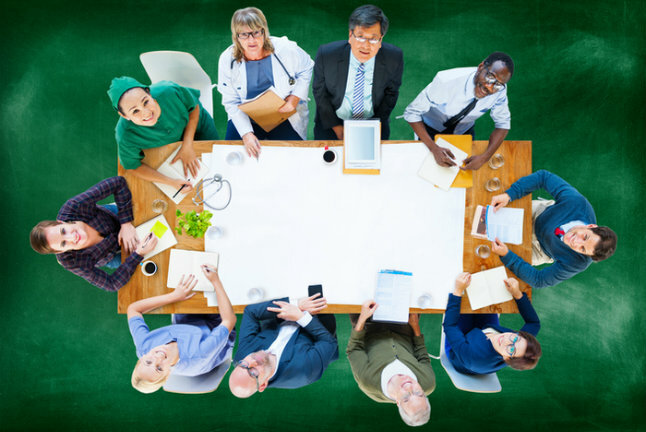 If you want to make sure you’re providing the services your patients truly need and want, the best course of action is to create a patient advisory board. We’ll take a look at the many benefits of developing a patient advisory board, and how you can get started. 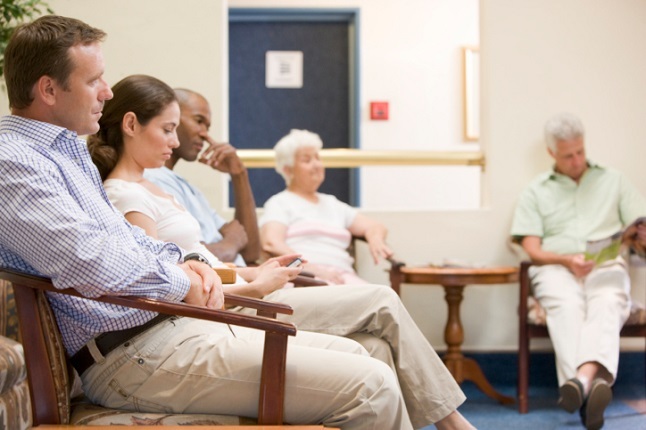 Have any of your patients complained about wait time? Have any of your staff members become frustrated by inefficiencies in the appointment process? 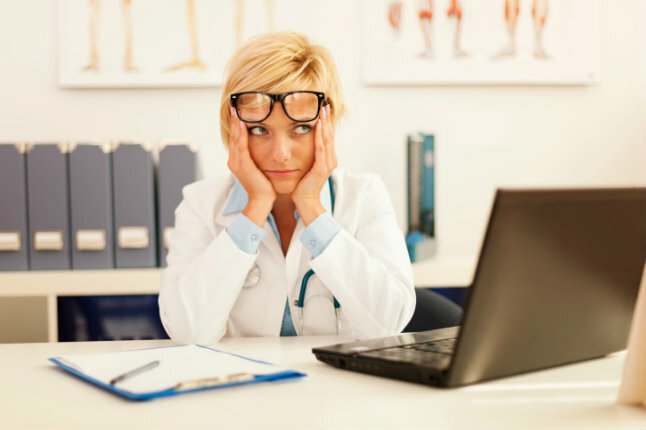 Have you ever felt burned out and unable to keep up with patient flow? If you answered yes to any of these questions, you’re not alone. Even the most successful private practices are challenged by creating, optimizing and maintaining processes for managing patient flow. Evidence-based care helps you make the best treatment decisions and it can revolutionize your practice. Although the care model involves consulting the latest research studies for information about treatment benefits and protocols, it’s about more than simply relying on research studies to make decisions. 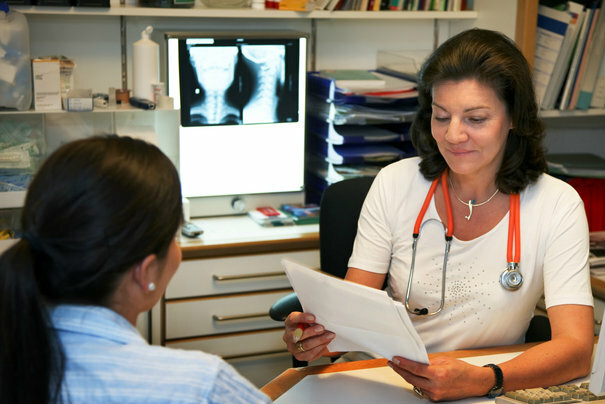 Your personal experience and input from your patients are also important considerations. For years, your hospital has been dedicated to offering the best possible care to each and every patient. Your staff members are unwavering in their commitment to integrate the most innovative medical advances, and apply their ample knowledge and experience to develop sustainable care plans. While your hospital is devoted to helping each patient thrive, you may still be missing one piece of the patient satisfaction puzzle: patient engagement. Bottlenecks caused by patient flow not only reduce efficiency and revenue, but also affect patient satisfaction levels. Improving flow starts with evaluating current systems and procedures to determine whether they are effective or are just hampering your efforts to provide quality healthcare. It’s near the end of an exhausting shift. You’ve finally assigned each patient to a member of your staff, and you’re just sitting down to begin your charting. As you open a file, you begin to daydream about the fuzzy slippers and hot cup of tea you’ll soon enjoy at home. It’s been a long day but, unfortunately, it’s about to get even longer. 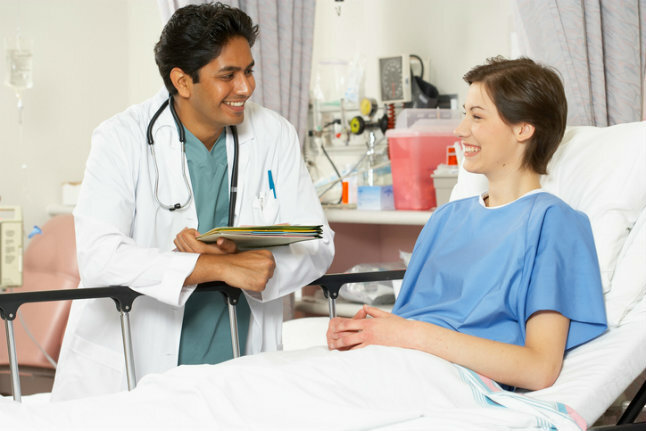 How Can Private Practices Measure Patient Satisfaction? When it comes to healthcare’s pay-for-performance model, hospitals aren’t the only ones feeling the effects. Today, under the Affordable Care Act, physicians are expected to participate in the Physician Quality Reporting System (PQRS) — or begin facing penalties as early as next year. Private insurers also are adopting value-based payment. Difficult patients have one thing in common: they are unhappy with some aspect of the service they’ve received at your facility. 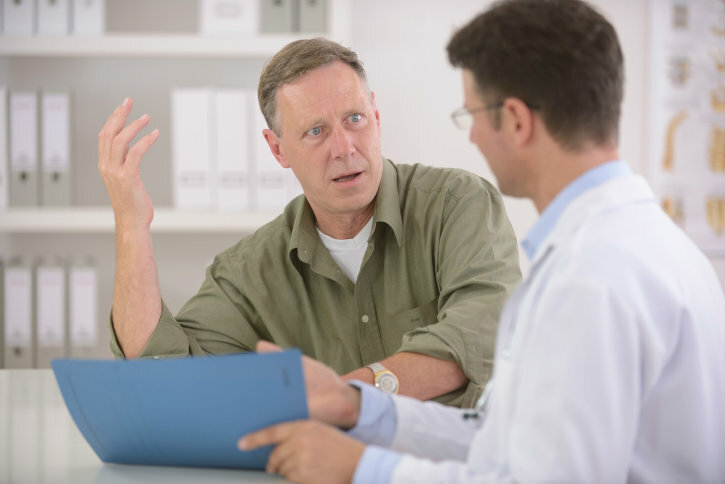 Whether a complaint is justified or it feels like the patient is being completely unreasonable, your responsibility is to address the complaint diplomatically and ensure it will not negatively affect the patient’s satisfaction. Technology is always changing, and staying on trend can take more time and effort than you have available. 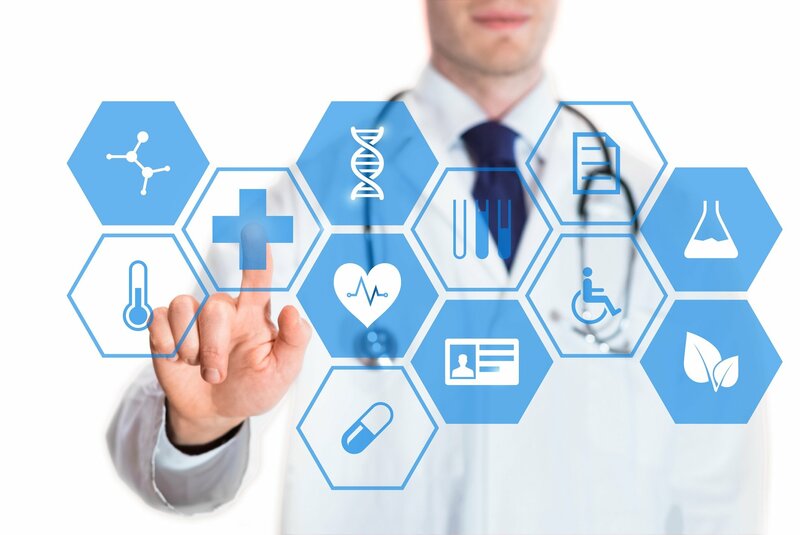 When it’s time to invest in healthcare technology for your facility, how do you know which products will improve the patient experience and save money, and which are unnecessary and overpriced? 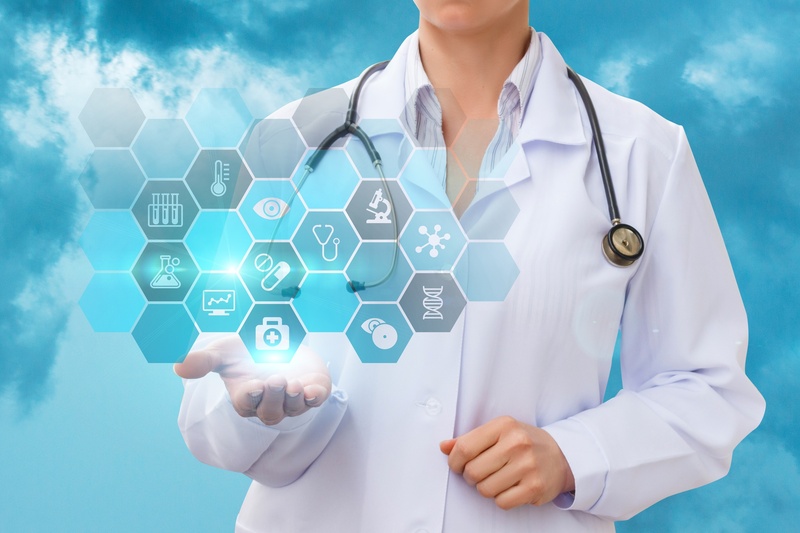 From a new EHR to an upgraded network, data storage to phone systems, you need investments that will yield the best returns — whether monetary or in the form of increased efficiency. 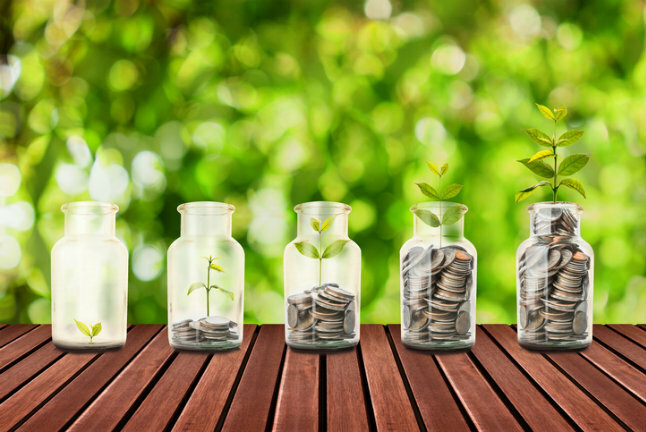 Keeping the following things in mind will help you spend your money wisely. Have you ever felt like you were living in a fog? Even with plenty of rest, you still felt physically and emotionally exhausted. Maybe you found yourself hitting the snooze button a few more times than usual, struggling to maintain focus throughout the day and perhaps even snapped at a coworker or two. 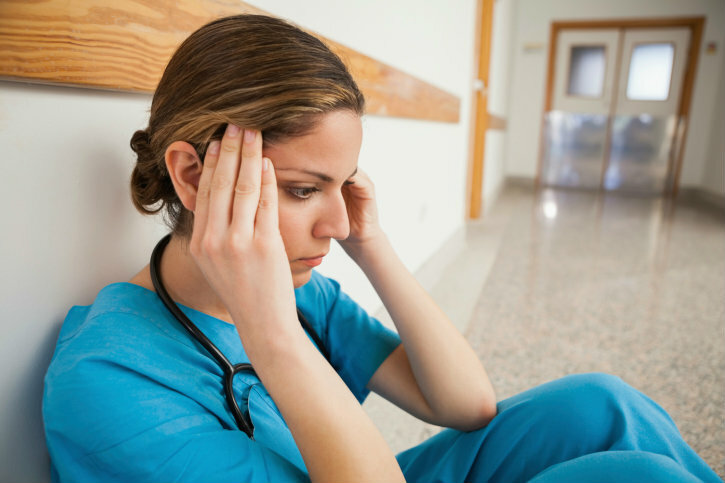 Even though you love being a nurse, you might have felt overwhelmed and unenthused. Although these experiences seem commonplace to any hardworking professional, they’re actually the telltale symptoms of a much larger issue. 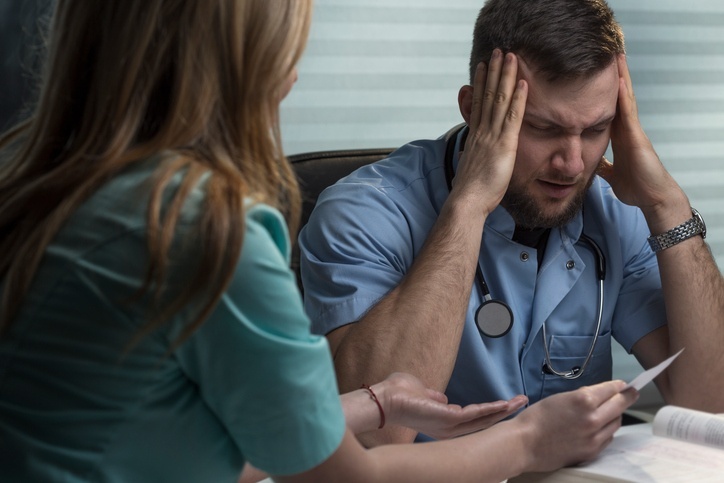 Burnout is a real (and frustrating) condition, and the additional stressors placed on those in the nursing industry put professionals like you at a higher risk for burnout than workers in other professions. If you’re beginning to feel the onset of burnout, follow these five tips to a healthier, happier and more fulfilled you. Physicians know preventive care is effective in reducing the likelihood of heart disease, diabetes, cancer and other common diseases. But convincing your patients that the result is worth the changes in lifestyle can be a struggle. Concern about costs and lack of knowledge about the benefits of preventive care are the leading contributors to patient apathy. The good news is there are a few things you can do to encourage your patients to embrace prevention as a long-term strategy for better health. Long waits, harsh lighting, loud noises and a sense of powerlessness can make a hospital visit confusing and uncomfortable for both parents and their children. 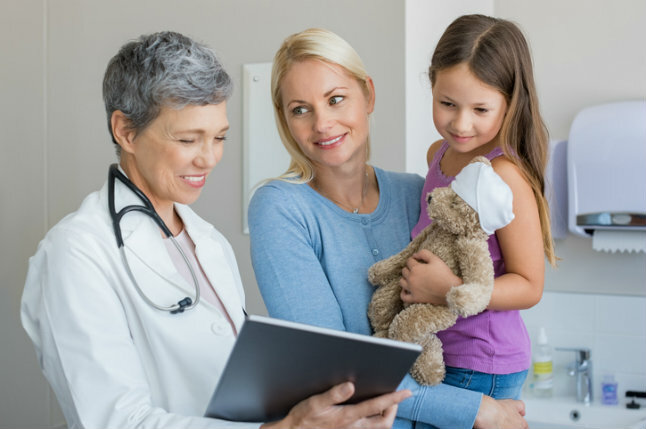 The following tips can help you ensure your young patients, and their parents, have a positive experience while visiting your facility. 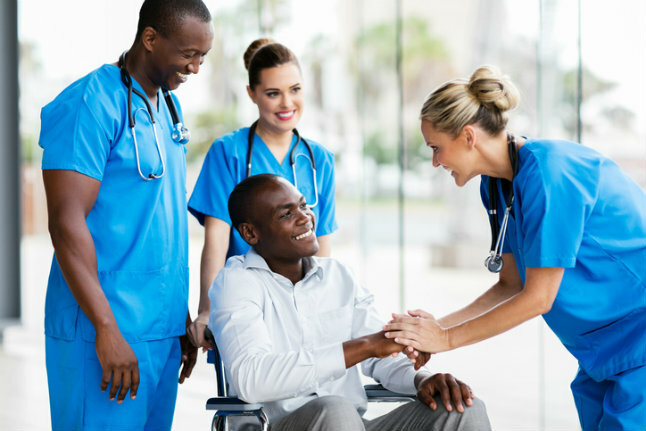 When patient needs and concerns are held in high regard, everyone in your facility benefits. But making the switch to a patient-centered culture isn’t always easy. Your team may oppose change and see these revisions as yet another task on their already long to-do lists. Achieving buy-in is the foundation of supporting a culture of patient-centeredness within your hospital. As a nurse leader, it’s up to you to be a catalyst for culture change. 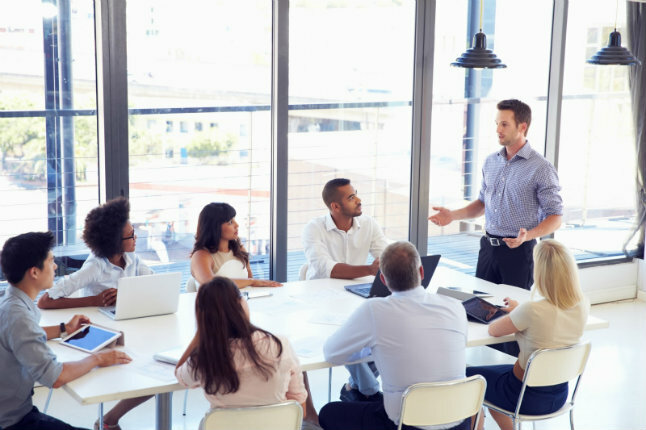 By modeling appropriate behavior and guiding your staff as they adapt to new standards and expectations, you can help everyone successfully adopt this culture shift. Running a successful practice not only requires you to provide top-quality healthcare to your patients, but you also want your patients to be fully satisfied with your service. Your patients can choose whom they visit for their healthcare needs, and one poor experience could mean they don’t come back. When you’re craving sushi on vacation, Yelp can help you find the highest rated Japanese restaurant in town. If your roof is leaking, you can consult Angie’s List to find the best reviewed local contractor. But what do you do when you need to schedule surgery, make a late-night trip to the ER or find the best labor and delivery department for your child’s birth? How can you adequately, and conveniently, assess healthcare organizations to find the best hospital for your specific needs? Remember your first day at your first nursing job? For at least two years you endured a grueling schedule of nursing school courses and early morning clinicals, survived graduation and passed your NCLEX with flying colors. By the time you obtained your first job offer, you were bursting with excitement and ready to jump head first into your new career. But, on the first day, you arrived a bundle of nerves. How could you make sure you consistently provided the best care and experience to your patients? Who would you turn to for guidance? As a nurse leader, it’s likely been several years since your first day on the job. Through hard work and dedication, you achieved a leadership position. 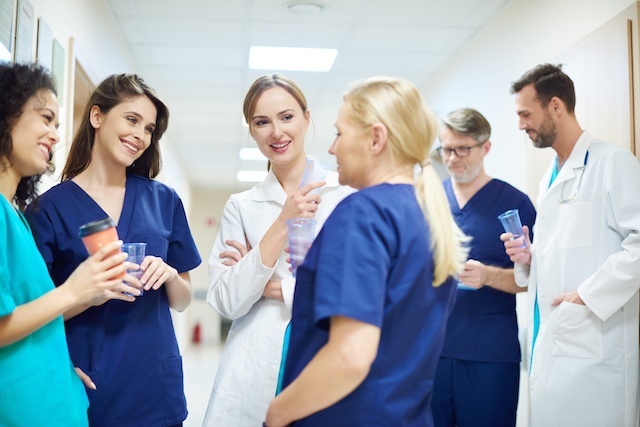 Although those early days of your career may now be nothing but a distant memory, it’s a current reality for several of your newer nursing team members. Your job is growing in importance. From keeping up with ever-changing regulatory and compliance updates to managing patient satisfaction processes and overseeing staff, healthcare administrators like you fill an exceedingly demanding role. Not to mention, now you’re tasked with handling the electronic health records roll-out and other federally mandated updates. Given your full plate and maxed-out schedule, you need to know you can depend on the support of your team. In fact, it’s more important than ever to keep your team as efficient as possible. When a patient is admitted to your hospital, it’s up to you, your team and your hospital’s physicians to treat his or her concerns fully and completely. Theoretically, if you accomplish this task, your patients will start a successful road to recovery and return to their lives. Unfortunately, this isn’t always the case. 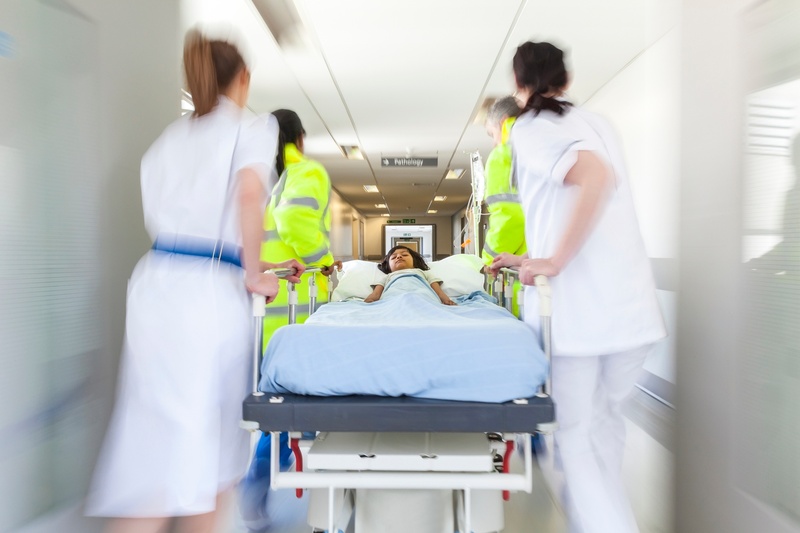 Unplanned hospital readmission, or a patient’s return to the hospital for the same or related issue is not only inconvenient for the patient, it also poses a significant concern for hospitals. That’s because, as of October 2012, the federal government began penalizing hospitals with excessive readmission rates in the form of reduced Medicare reimbursement. Not to mention, readmissions can affect patient satisfaction and strain hospital resources. Over the last several years, patients have begun taking a much greater vested interest in their health and wellness. While patients of previous generations took their doctor’s word at face value, today’s patients are researching their symptoms and conditions online, downloading case studies and engaging with other patients in internet forums. While this means some patients arrive for their visit armed with a self-diagnosis and droves of misinformation, it also means people are becoming more invested in their treatment. To leverage this interest, and help patients take a more active role in their care plan, many healthcare providers are using Shared Decision Making (SDM). In other words, it’s a strategy in which, instead of making a decision on a patient’s behalf, clinicians provide patients with the knowledge they need and walk through the decision-making process together. 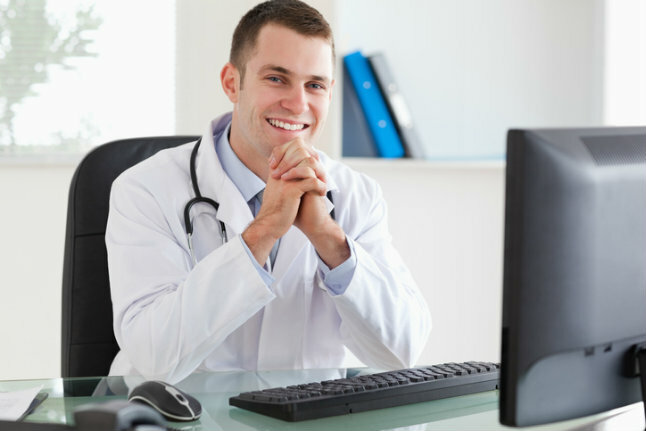 How Can Medical Private Practices Improve Online Reviews? You’ve heard the old adage “one bad apple spoils the whole bunch.” When it comes to online reviews for private practice physicians, this couldn’t be more accurate. 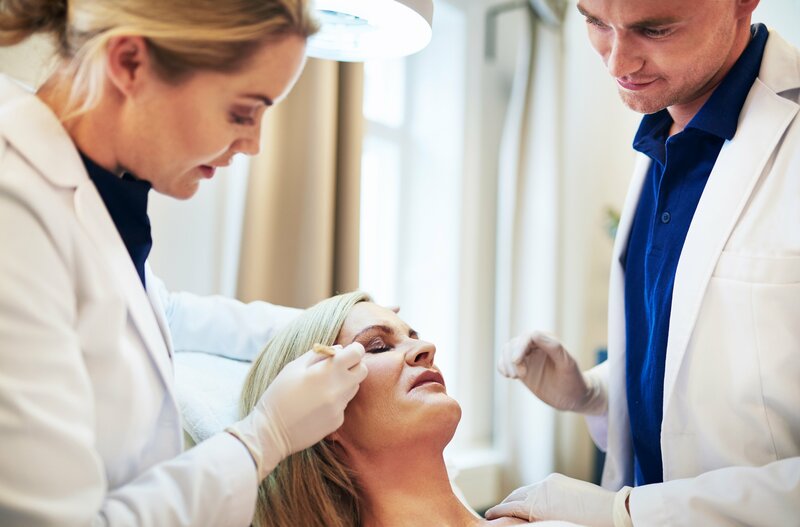 Despite the glowing opinions of your most loyal patients, a few unhappy respondents can drive down your score and leave prospective new patients feeling wary. For years, the healthcare industry has wrestled with how much credit to give review sites such as Yelp and Google Places. But today, with so many patients turning to healthcare-specific review sites like Healthgrades and RateMDs, and the growing presence of healthcare providers on Facebook, there’s no denying the importance of online reviews and social media. In fact, according to statistics provided by the Mayo Clinic Health Care Social Media List and American Hospital Association, 41 percent of people said social media would affect their choice of a specific doctor, hospital or medical facility. As hospital administrators know, perhaps better than anyone, hospitals are complex organizations. Communication is a constant challenge, and it can take several months to implement even the smallest process change. After all of the paperwork, training and follow-up reviews, you may begin to question whether your amendments are truly improving the workspace, or simply adding more madness to the mayhem. 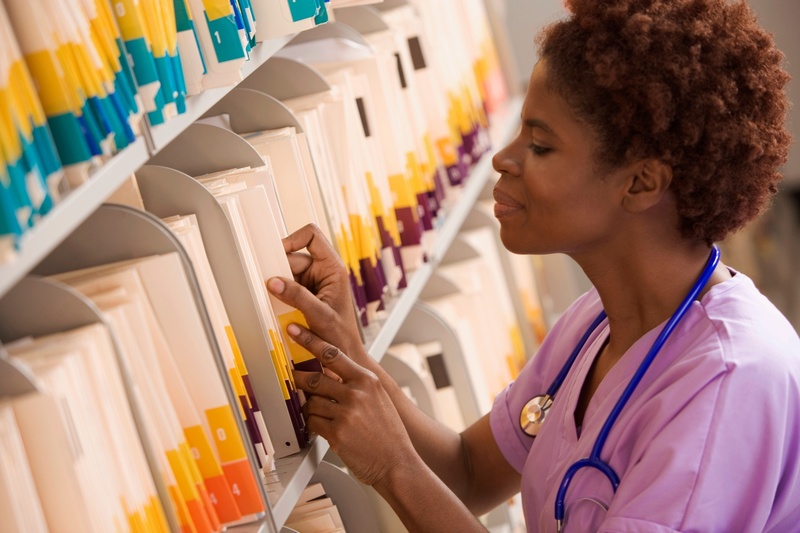 However, while failure to comply with some procedures, such as organizing supplies, may be a source of frustration, other procedures, such as those focused on patient-centered care, can have a major impact on your hospital’s success. Here are a few ways you can improve patient-centered care in your hospital environment, and make sure it sticks. 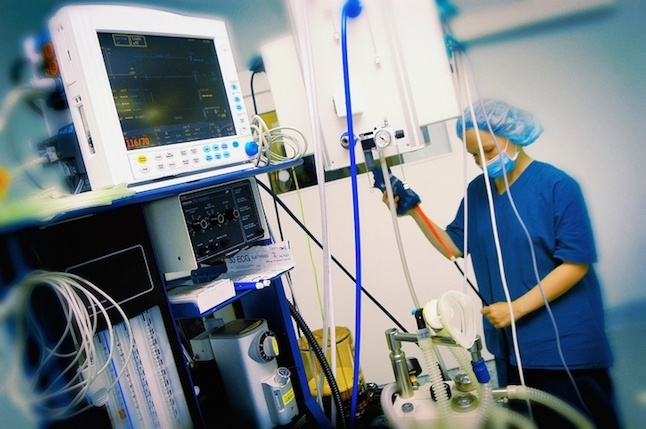 Should Nurses Include Topical Anesthetics in IV Start Routines? 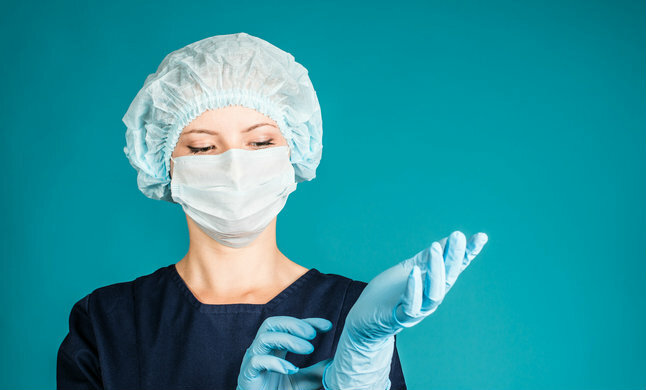 It’s one of the first procedures you learned in nursing school and, for many nurses working in a hospital environment, it can be one of the most common tasks you perform each day. IV starts have become so routine, you could probably do them in your sleep—though it’s likely frowned upon in most institutions. When it comes to starting IVs, you’re a seasoned pro. However, while IV procedures are commonplace for most nurses, they’re often a source of stress and anxiety for your patients. 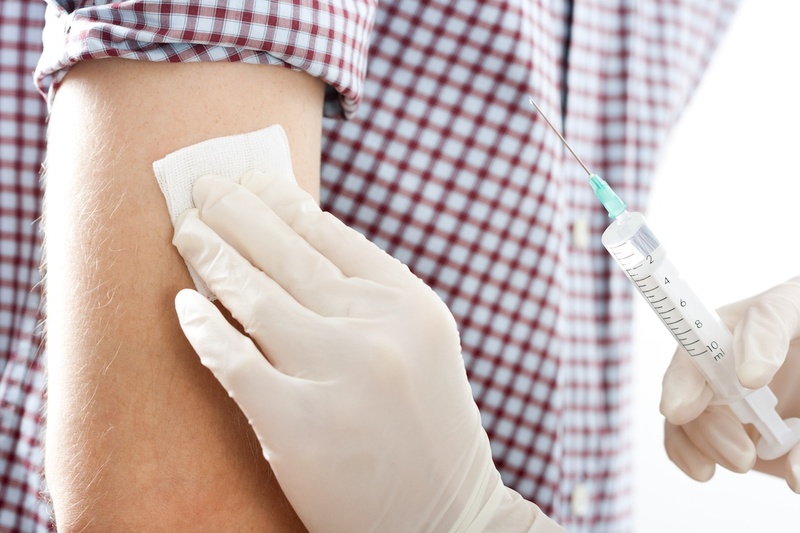 Even for those without needle phobia, being stuck with a needle and connected to an IV tube can be a frightening experience. Not to mention, patient anxiety has a tendency to stress even the most calm and collected professionals. When someone asks you about your workday, how often do you respond “busy,” “crazy” or “absolutely nuts”? 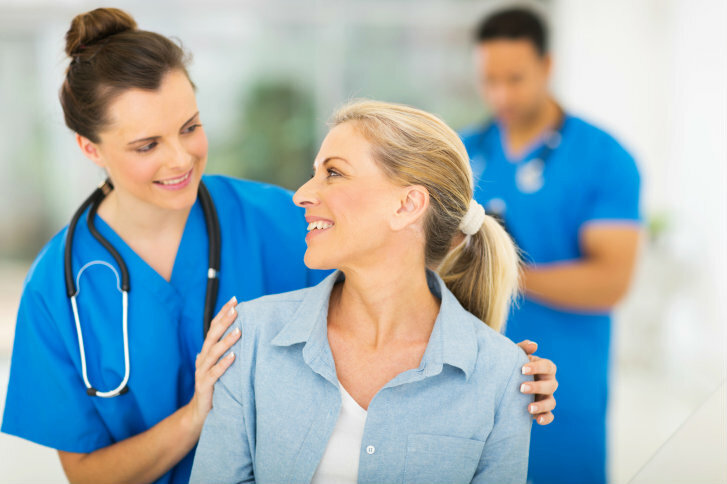 It’s commonly known nurses are among the busiest and hardest working professionals in the industry. This quote, often attributed to Hippocrates, perfectly summarizes the mission statement of physicians worldwide. You strive, everyday, to cure ailments and relieve your patients’ symptoms, but success in these areas often depends on factors beyond your control. Relieving anxiety through patient comfort measures, on the other hand, is always within your power. Unfortunately, in an effort to treat patients efficiently, and free up bed space, patient comfort sometimes falls to the wayside. Although you may have every intention of providing your patients with a comfortable experience, your ultimate goal is likely to treat as many people as possible within each shift. You can’t open a paper, flip on a television or pull up your preferred news app without being bombarded with the phrase “rising cost of healthcare.” For those of us in the healthcare field, this concern is nothing new. After all, physicians have been navigating the costs of healthcare since the first day of med school. Not to mention, running your own private practice comes with its own fair share of financial concerns. But, as government mandates tighten purse strings and insurance changes force patients to become more cognizant of costs, private practices are under increased pressure to significantly decrease spend. For private practice office managers, hiring and recruiting is a time-consuming, expensive and, quite frankly, frustrating endeavor. From finding the right talent, to ensuring new hires are properly trained, getting the right employees in place requires a great deal of business resources. Not to mention, it’s pricey. It costs 20 percent of a worker’s $50,000 salary to replace them, according to the Center for American Progress. Most of us are accustomed to seeing customer experience surveys from businesses like cable companies, retailers and automotive service centers. Days after you’ve purchased a product or paid for a service, you’ve probably received an email or automated phone call asking you to rank your satisfaction and share your comments. For many years, businesses have relied on customer feedback to measure success and improve processes. Today, however, you’ll begin seeing surveys from an unlikely source: your hospital. In the fast-paced environment of the emergency room, every second counts. From sprained ankles to minor lacerations to heart attacks, ER nurses are on the front line, and under pressure to provide care that is appropriate, efficient and compassionate. Dermatology clinical support staff frequently sees patients who are anxious about painful procedures. 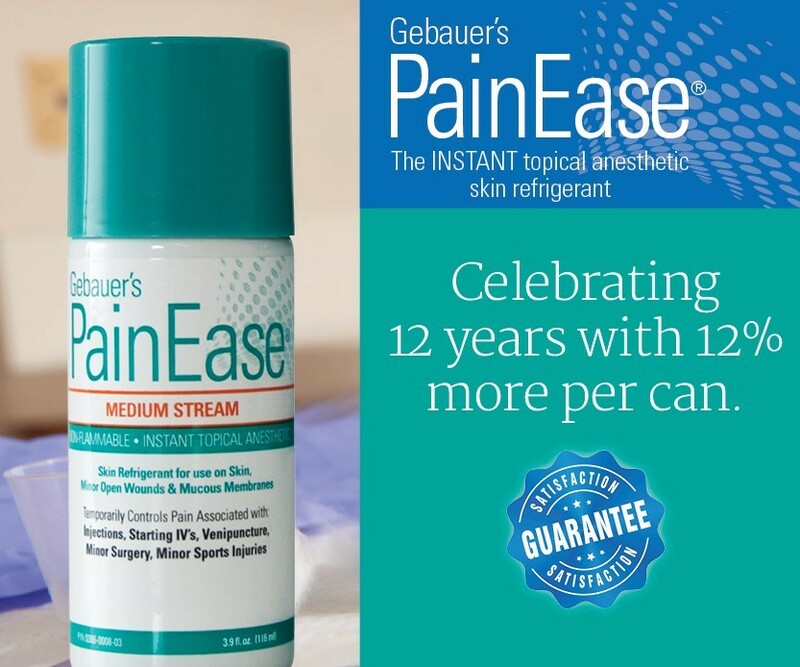 Using instant topical anesthetics, like Gebauer’s Pain Ease® topical anesthetic skin refrigerant, helps relieve anxiety and enables patients to comfortably tolerate cosmetic and minor dermatological procedures. Pain Ease temporarily controls the pain of needle and minor surgical procedures. “Is this going to hurt?” Nurses have been asked the question time and time again. When it comes to easing patient anxiety, the responsibility usually falls on nursing professionals.